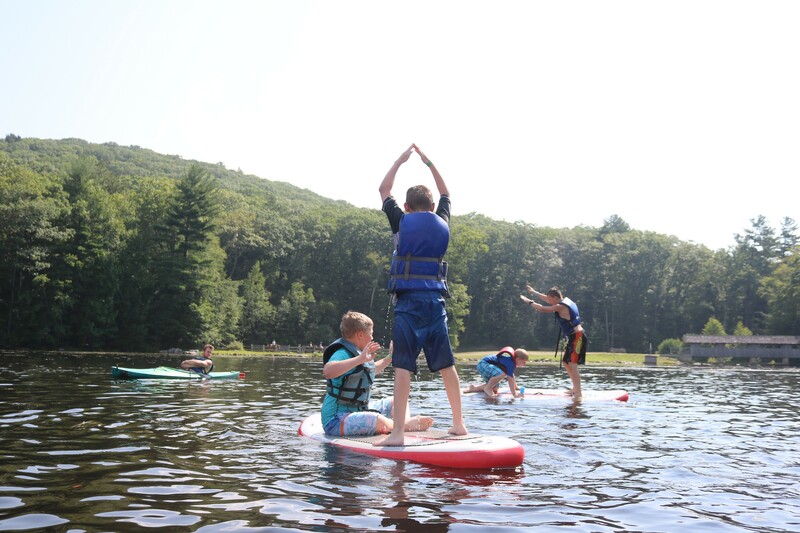 Campers have the opportunity to customize their program each week by signing up for three morning clinic activities (one of which can be swim instruction). 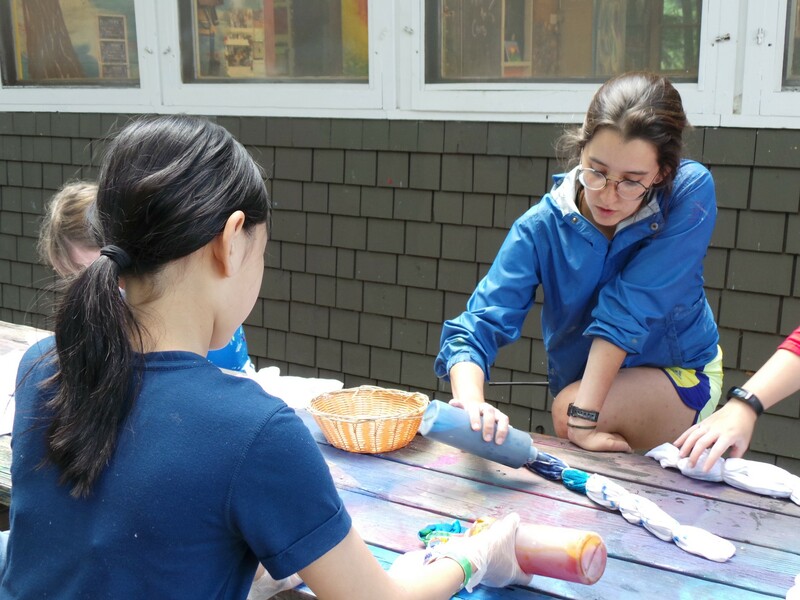 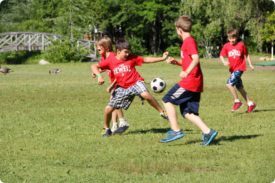 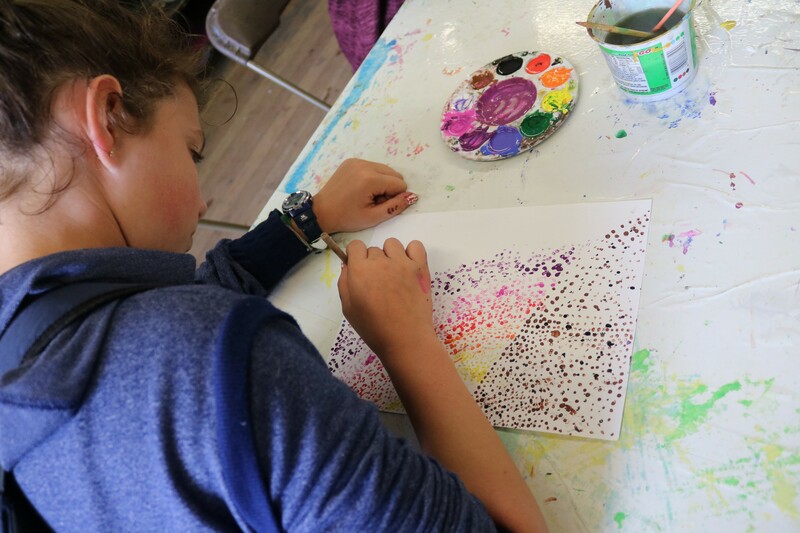 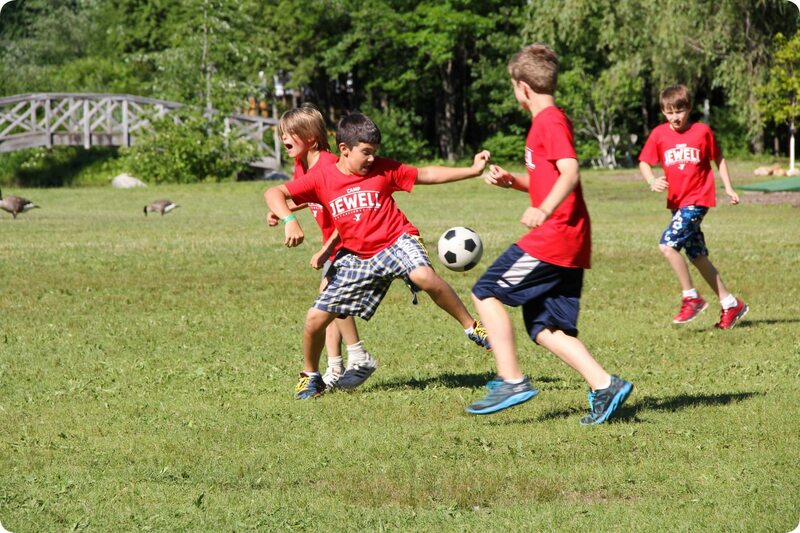 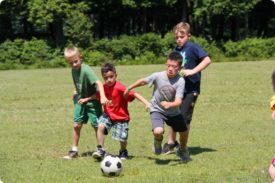 With a wide range of progressive, skill based clinics our summer camp programs focus on developing social skills, team-work, self-esteem and an appreciation for the environment, all with a healthy dose of fun! 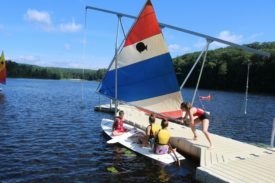 In the afternoon, they head to the waterfront for free swim and cabin activities. 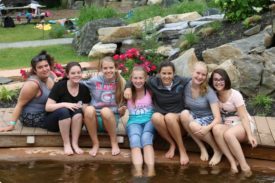 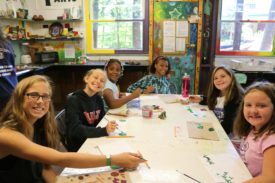 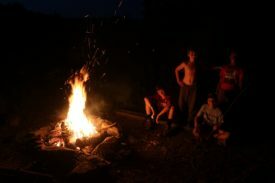 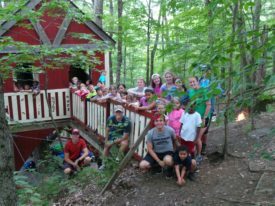 Each day concludes with an all camp or village activity and then cabin devotions where campers reflect on the day’s experiences. 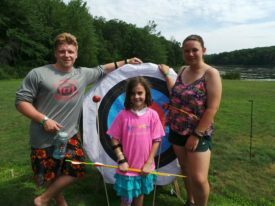 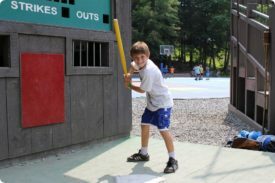 The weekends are host to special all camp activities ranging from carnivals, to Olympics, to our World Series of Wiffleball! 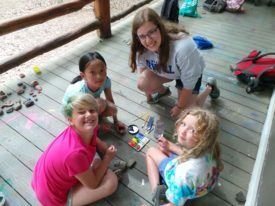 Plus, there’s time each day for siesta where campers have some quiet time to read a book, hang out with friends, and write letters home! 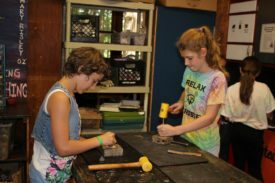 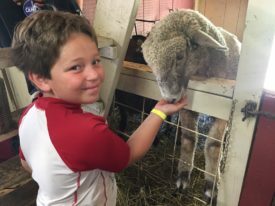 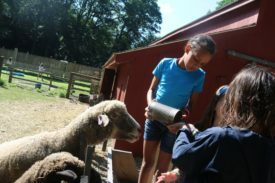 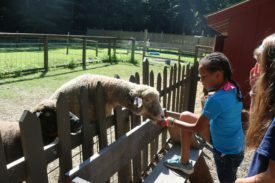 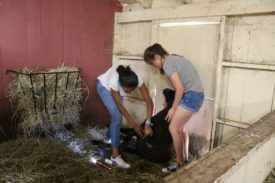 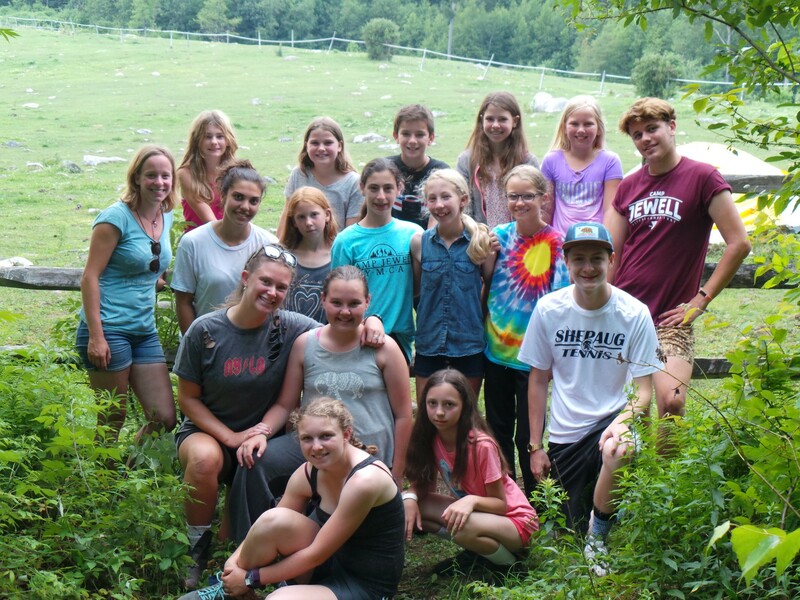 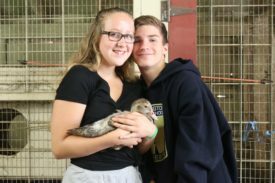 There are over thirty clinic options, including archery, horseback riding, mountain boarding, pottery, dance and guitar lessons, just to name a few! 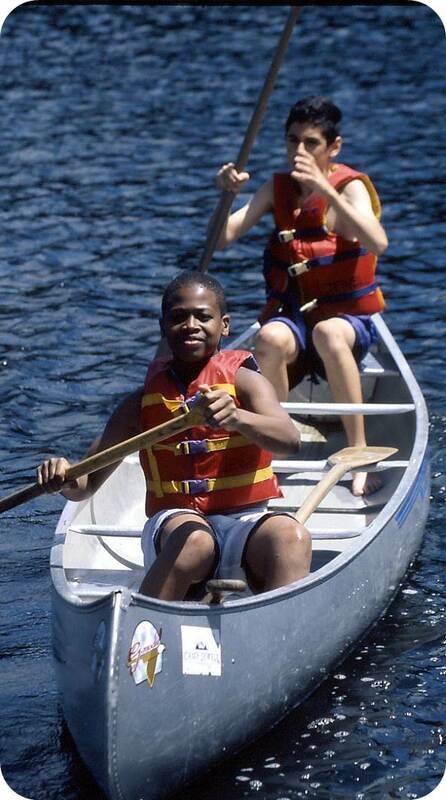 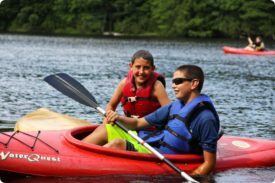 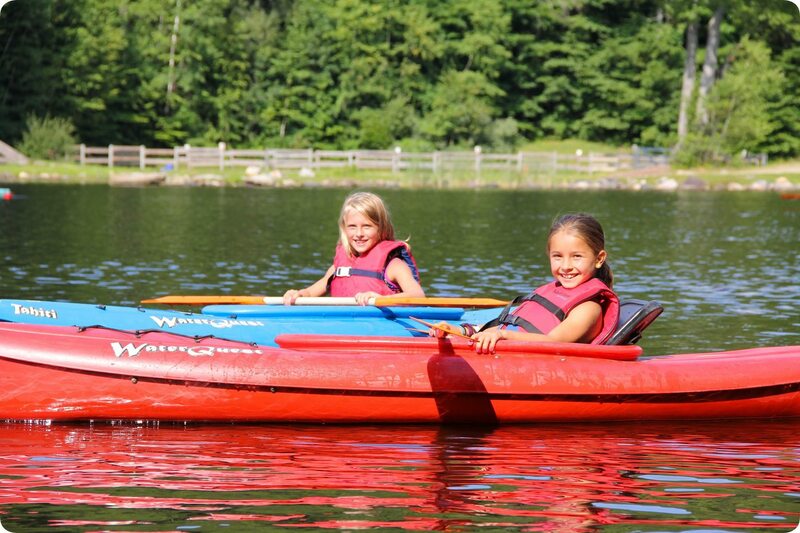 Below is a sample of some of the activities offered at Camp Jewell YMCA. To discover more about our different activities, please click below…. 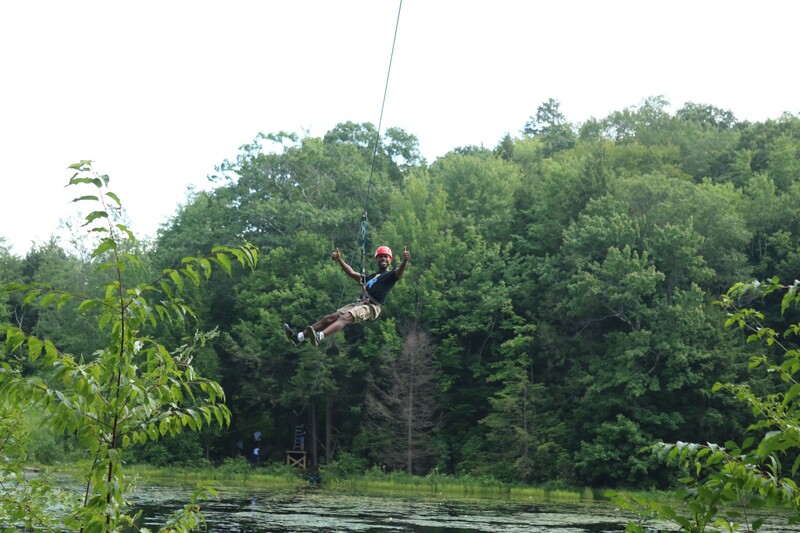 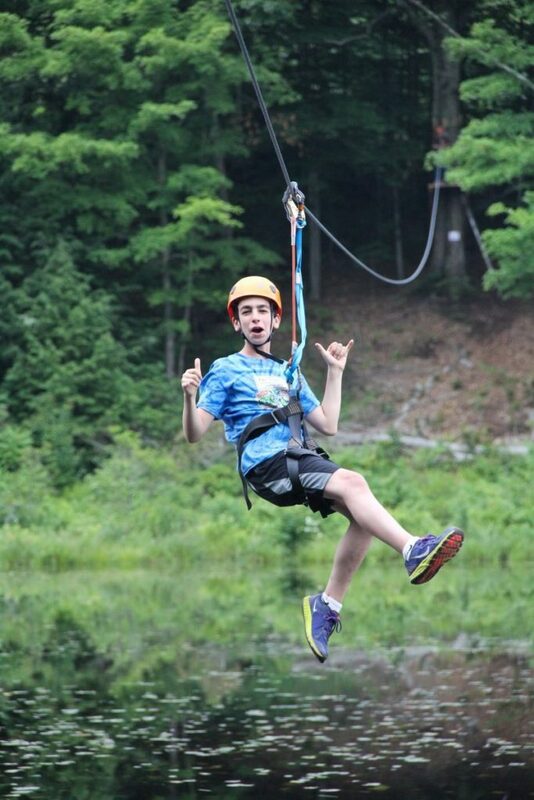 Our zip lines race across the lake and back! 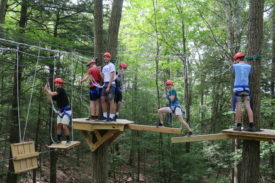 The latest addition to our high ropes activities, our new zip line was built in 2018. 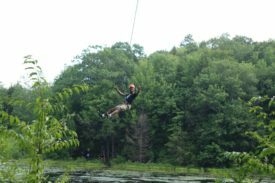 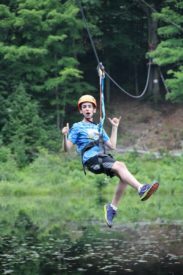 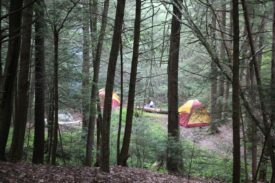 With two separate lines totaling over 1400 feet our zip lines cross Triangle Lake and back again providing a once in a lifetime experience for our Ewok and Utopian campers during the summer. 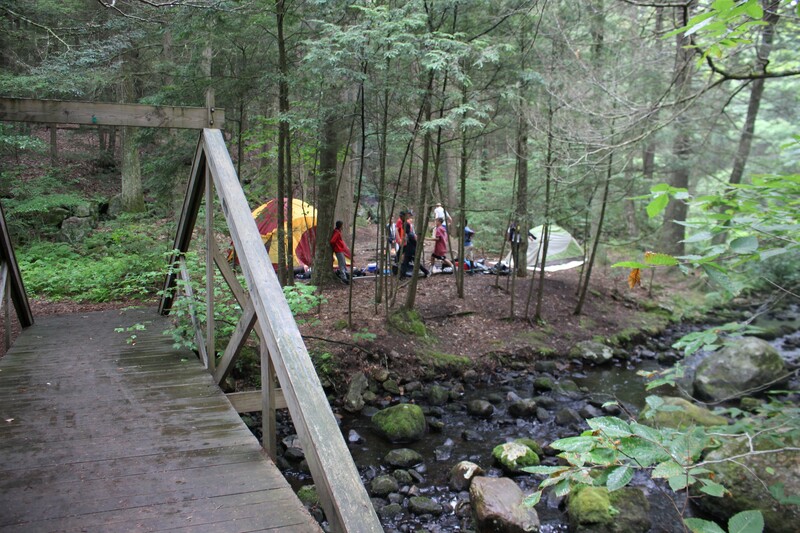 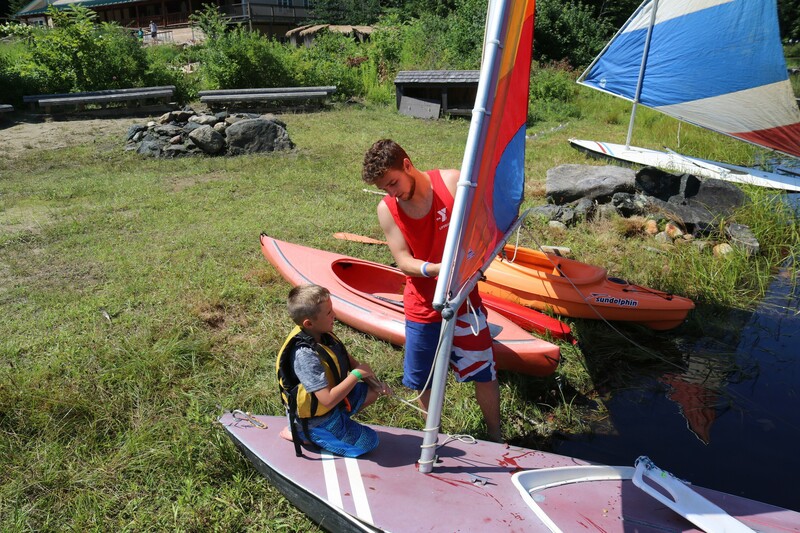 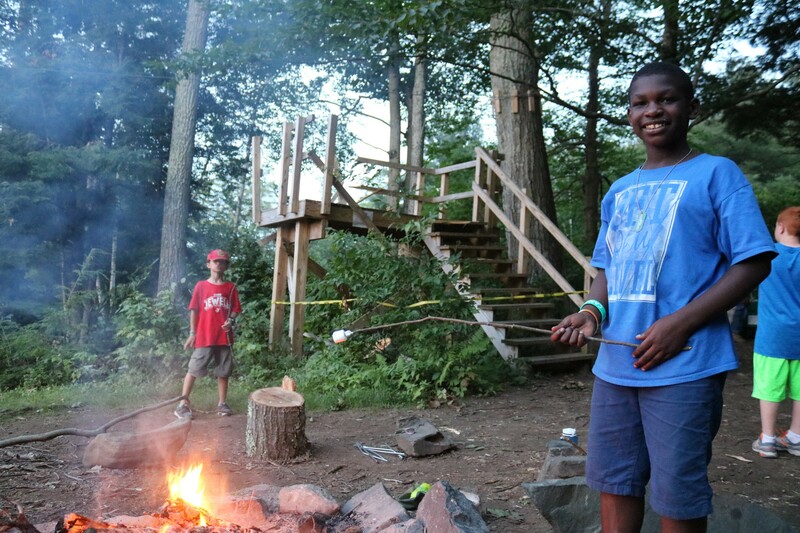 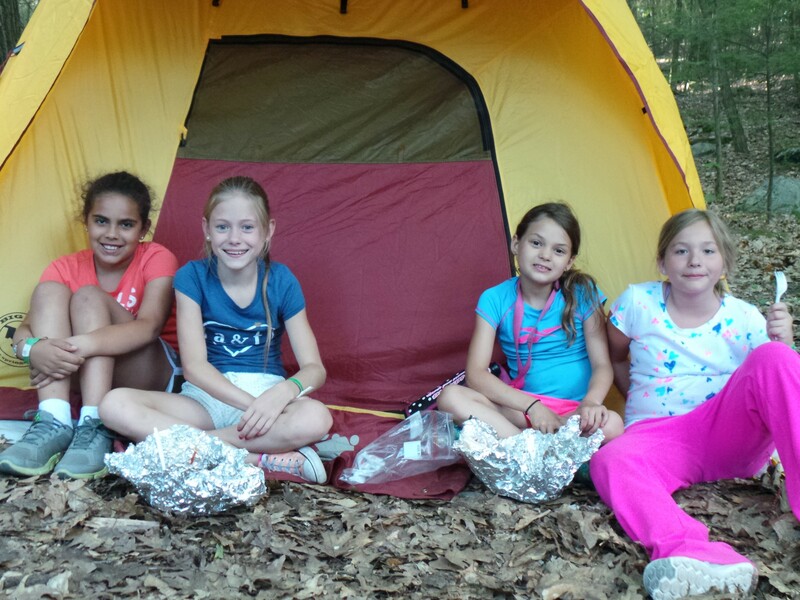 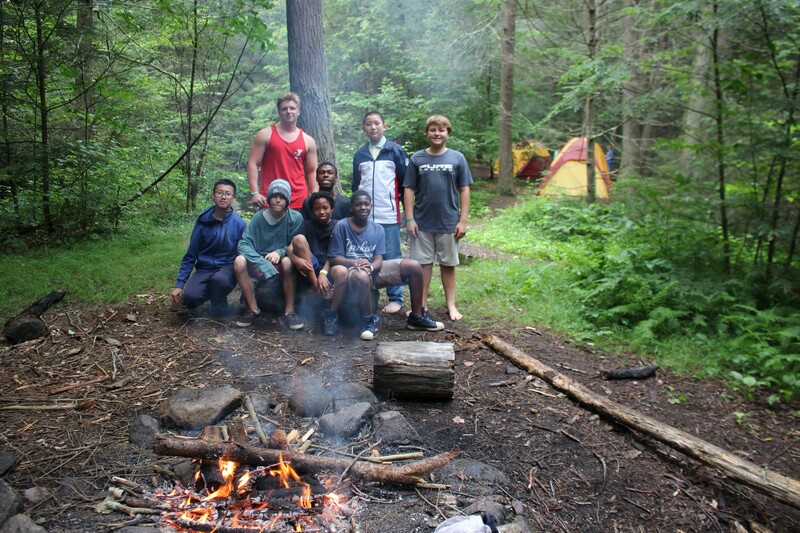 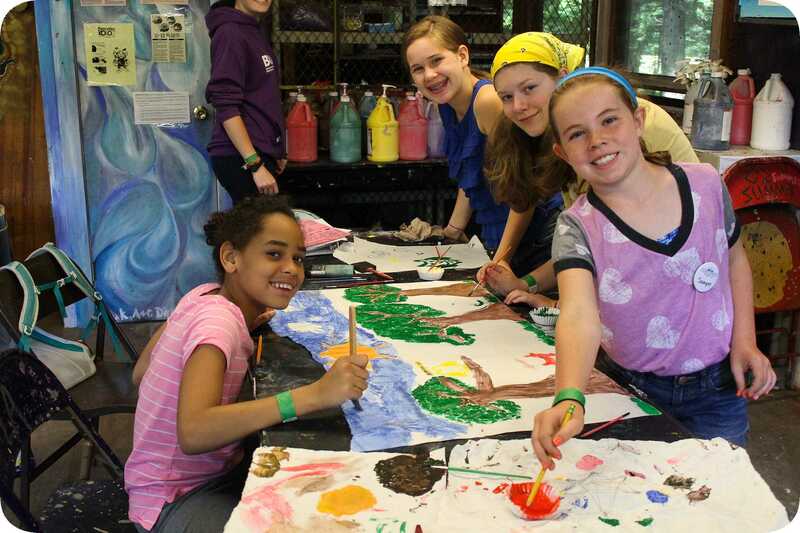 Campers are supported by the rest of their cabin under the supervision of our experienced staff. 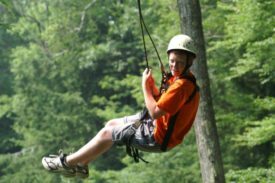 Helmets, belay lines and trained staff follow industry-standard practices to ensure safety on this memorable camp activity. 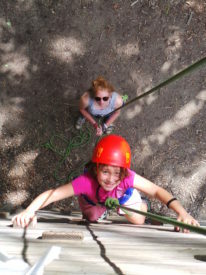 Mt Meggido is our taller climbing was at Hideaway Ranch! 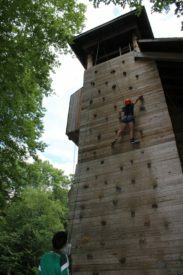 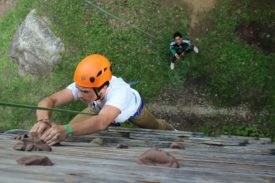 Camp Jewell has two climbing towers for climbers of all abilities. 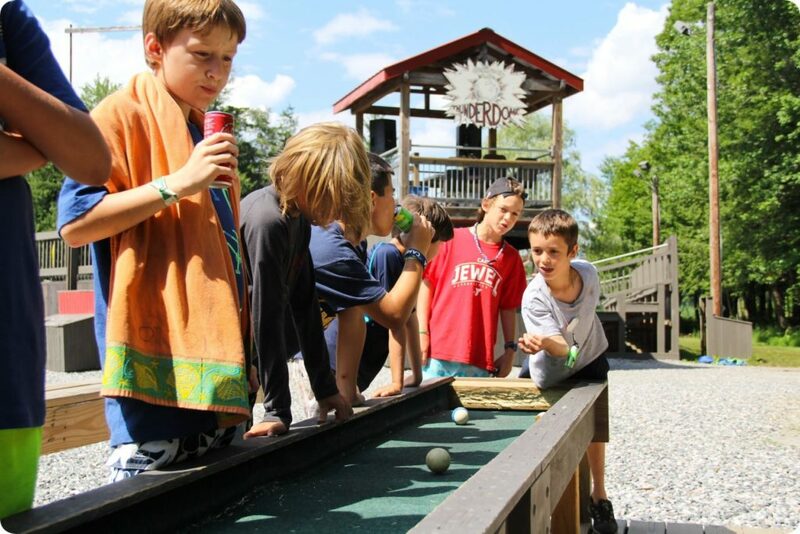 At main camp we have Mt Wood, and at Hide-a-way Ranch we have Mt Meggido. 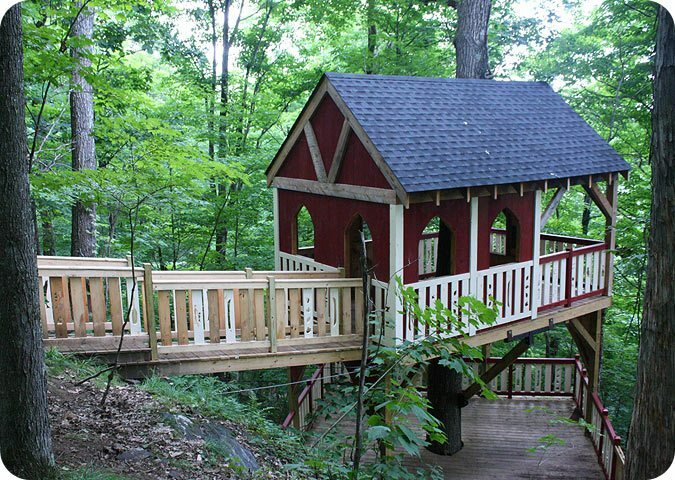 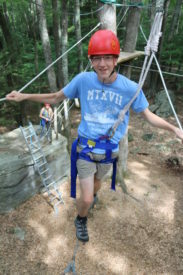 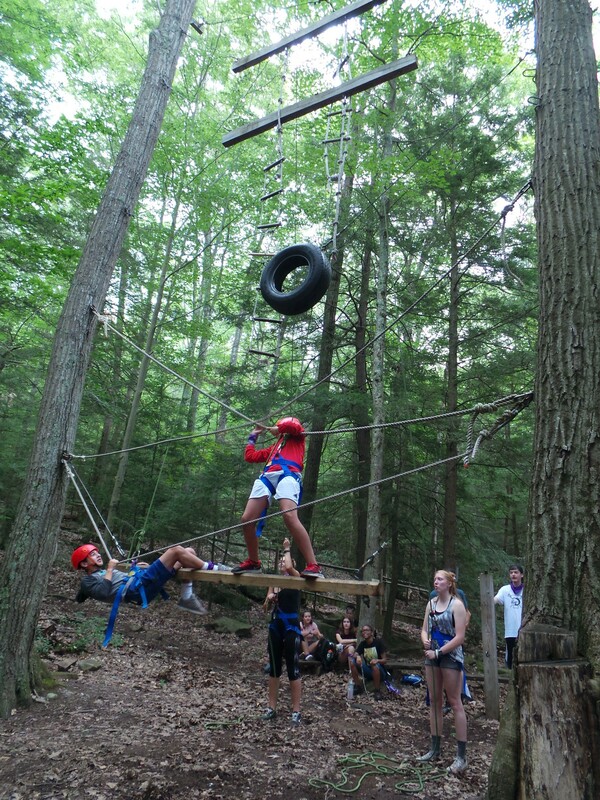 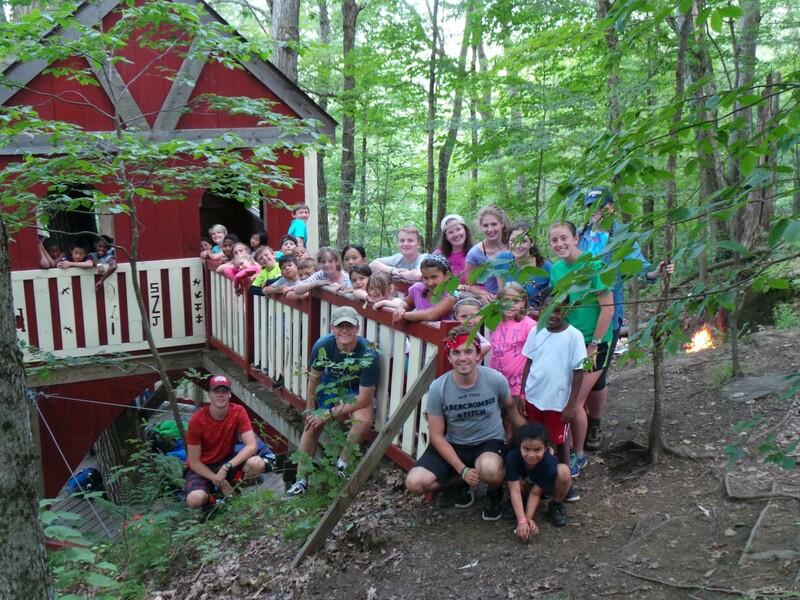 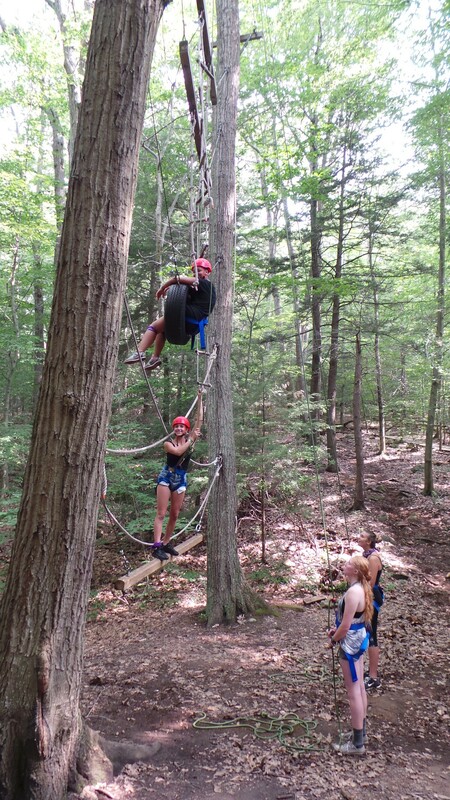 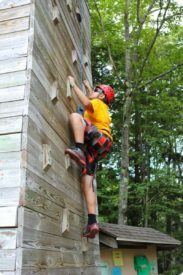 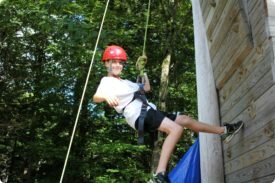 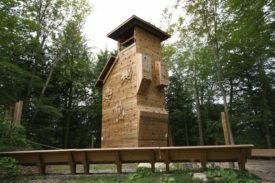 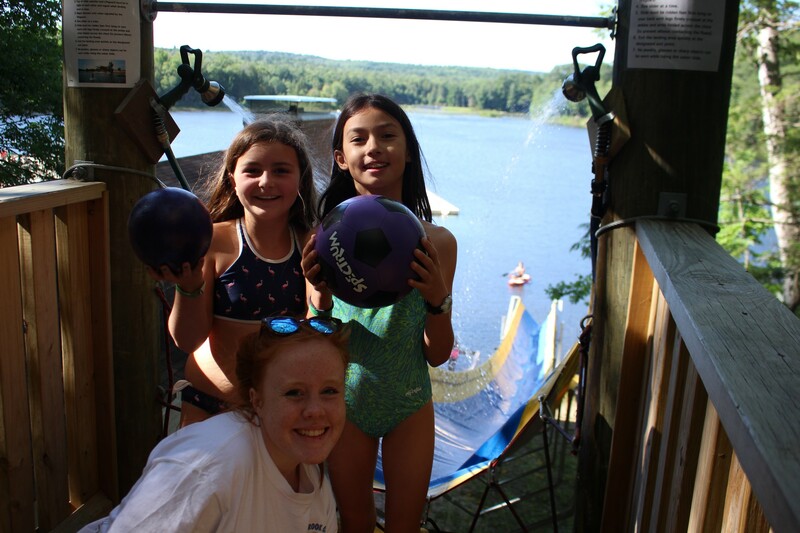 Our climbing towers provide a way for campers to challenge themselves in a safe environment. 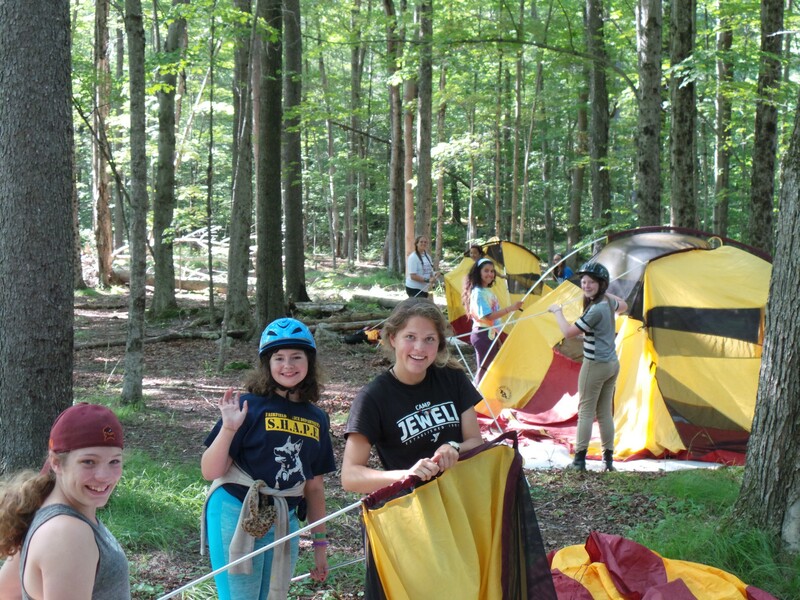 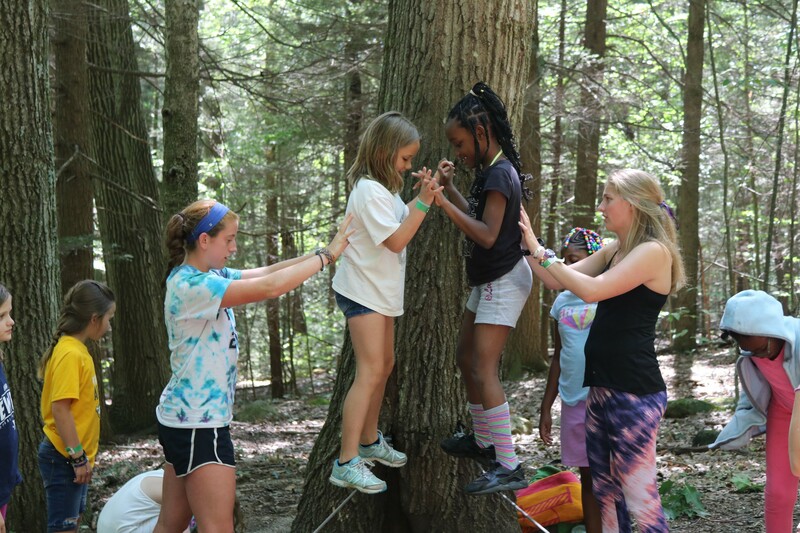 Campers set a personal goal, then try to achieve it with the support of others on the ground. 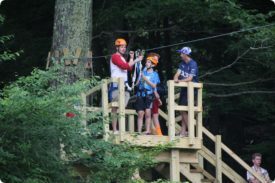 Helmets, belay lines and trained staff follow industry-standard practices to ensure safety on this memorable camp activity. 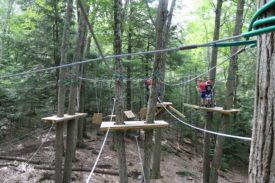 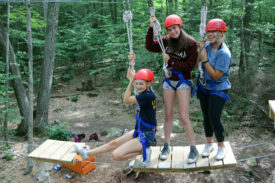 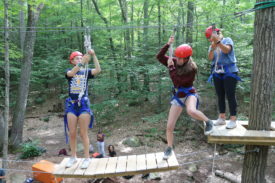 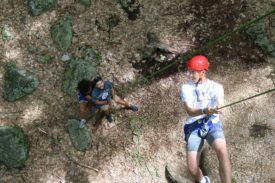 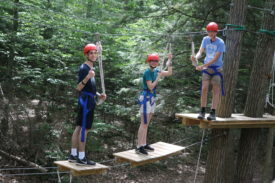 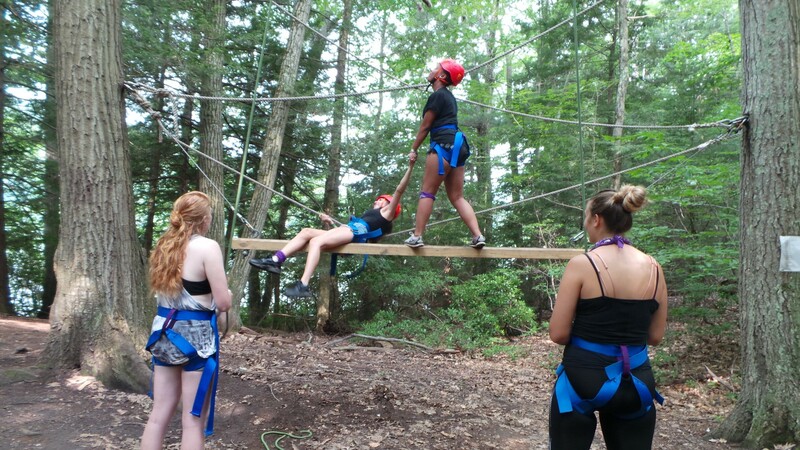 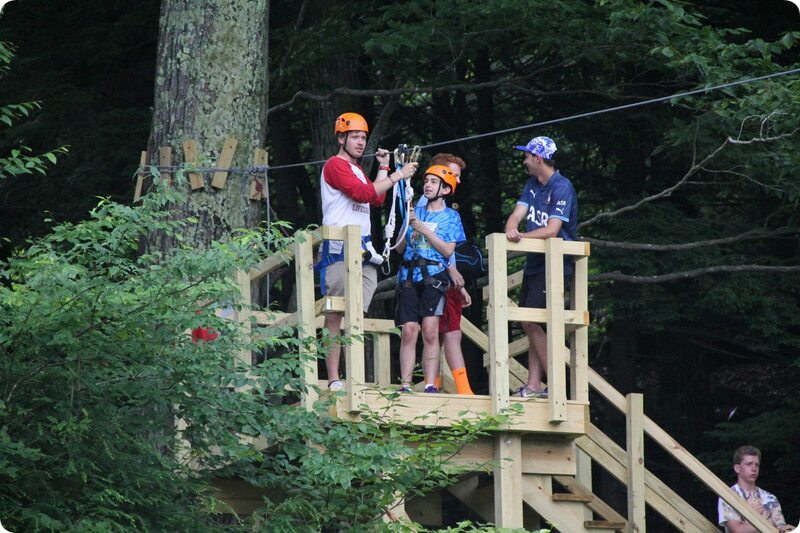 Our High Ropes Course is a lesson in team building combined with a traditional high ropes course. 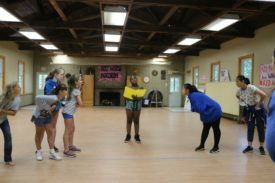 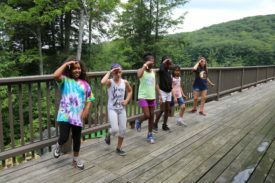 Campers will work in groups of 3-4 to traverse their way across a variety of elements all while learning to work with each other as a team! With the Giant Swing, the camper decides how far the group should pull the rope so that the participant is high in the air. 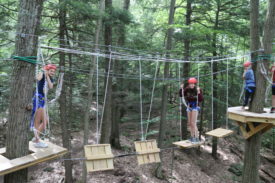 They then releases themselves into a safely harnessed free-fall swing. 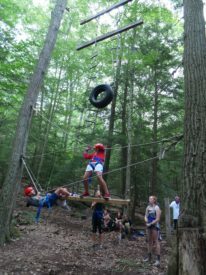 These activities, while very safe, provide a sense of perceived risk for those who choose to take on this challenge. 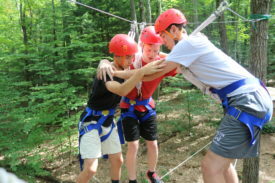 Each participant requires steady support from the rest of the cabin. 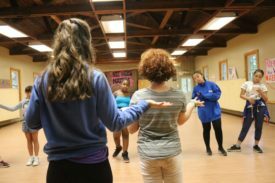 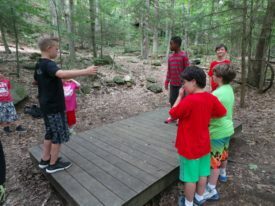 Afterwards, staff facilitates a debriefing discussion to help campers process their experience and express their feelings. 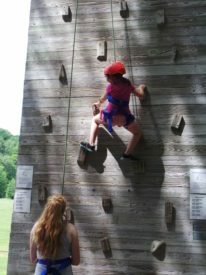 During Vertical Playpen, LIT campers use teamwork to climb to the top of a giant 50-foot ladder. 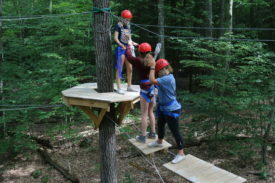 Two people must use teamwork to make the climb from one rung to the next and there are smaller elements attached to the ladder to make the journey upwards easier to accomplish. 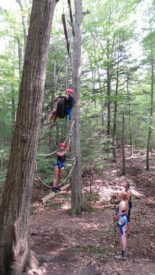 This is the perfect way to encourage teamwork in one-on-one scenarios. 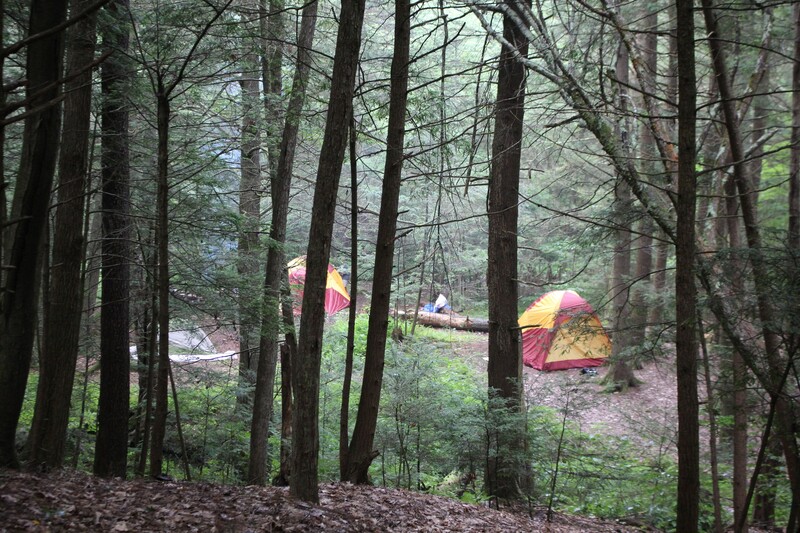 Campers watching are urged to offer support and instructions from the ground for the climbers. 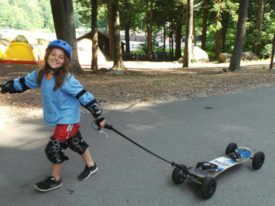 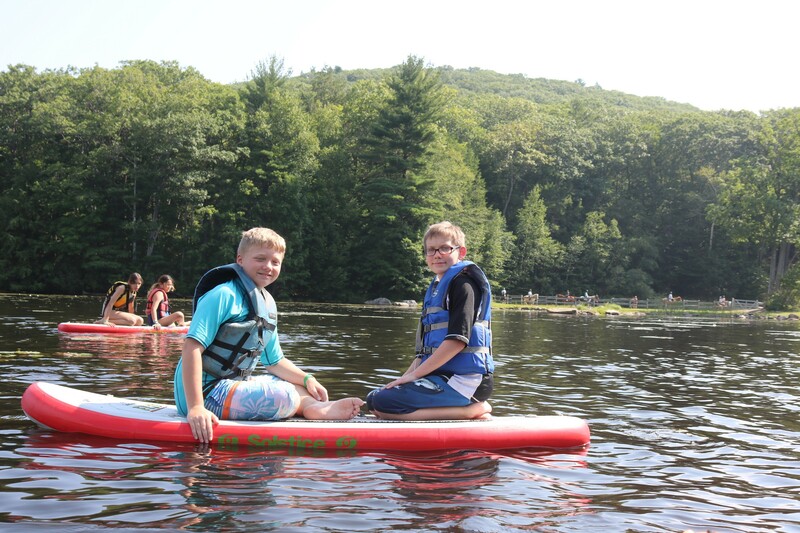 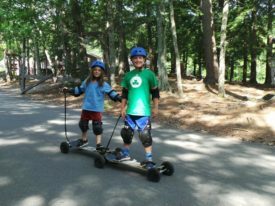 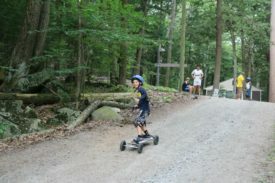 Our Mountain Boarding program is extremely popular for campers ages 10 and older. 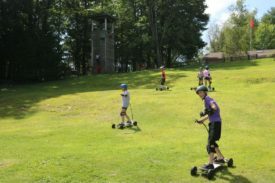 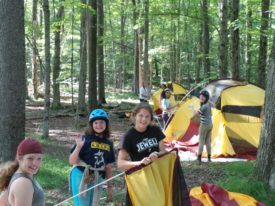 Under the supervision of our trained staff, campers don protective equipment, learn proper technique, then move on to more advanced downhill runs. 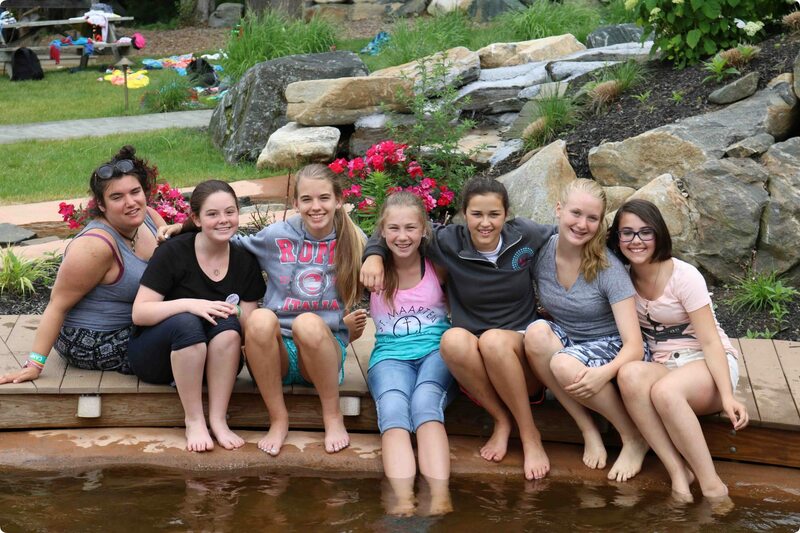 Team building is an integral part of what we do at camp! 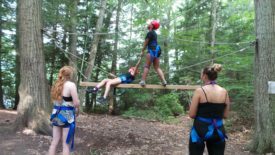 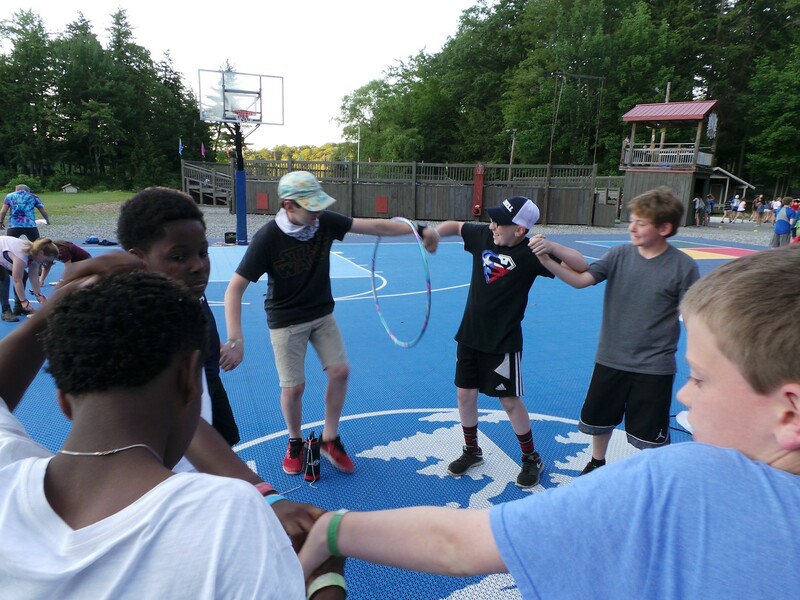 Each cabin spends time working together to form their own tight knit cabin group, in addition to groups games we have a low ropes course with a variety of elements designed to challenge the group to work together under the guidance of our highly trained staff. 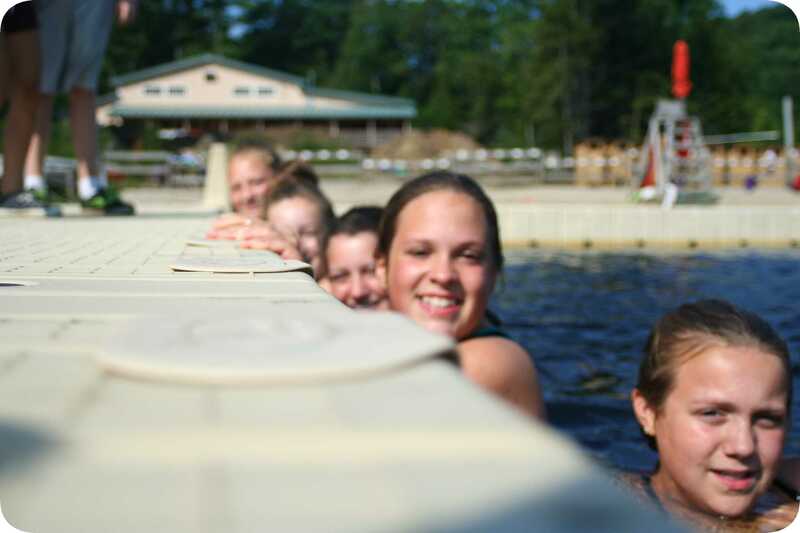 Our fully enclosed waterfront has swim lanes. 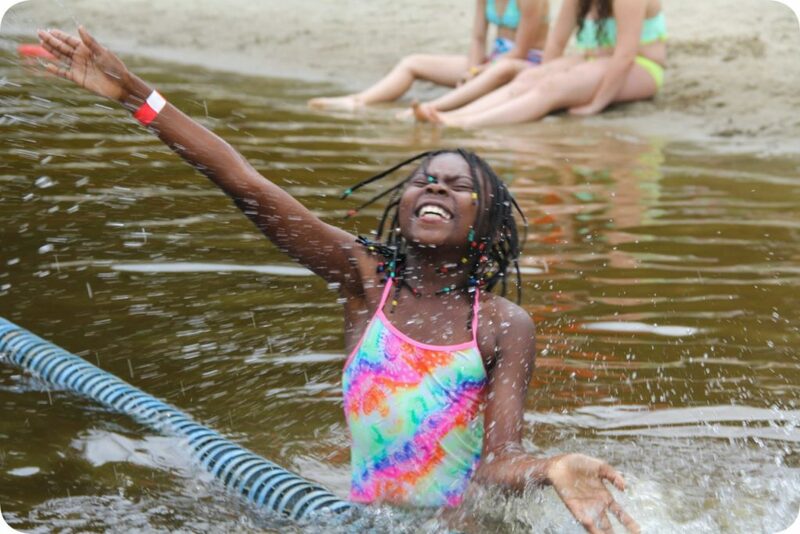 What would camp be without swimming? 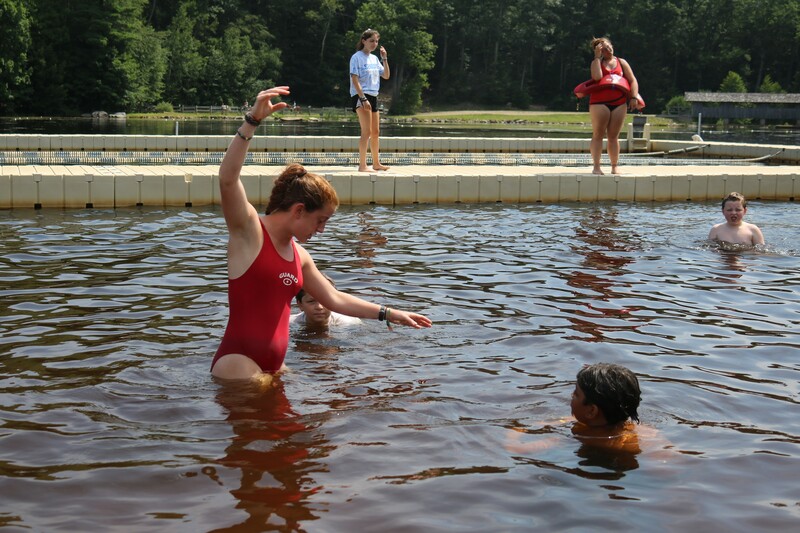 During the first day of camp each camper is swim tested and placed into one of three groups. Red swim bands are beginners, yellow are intermediate, and green are advanced. 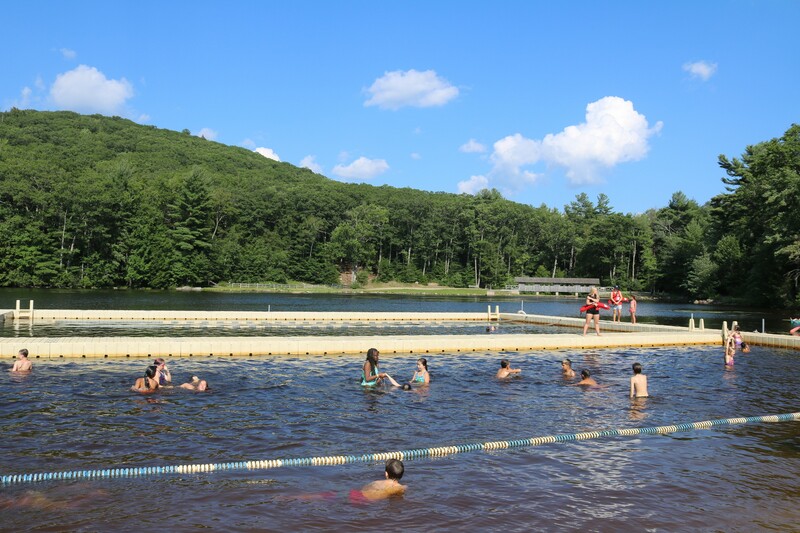 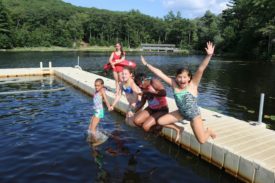 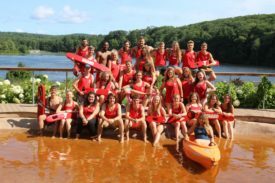 For campers requiring swim lessons they are automatically placed in a swim clinic, where under the supervision of our Red Cross WSI staff members we provide instruction that closely follows YMCA national swim classes. 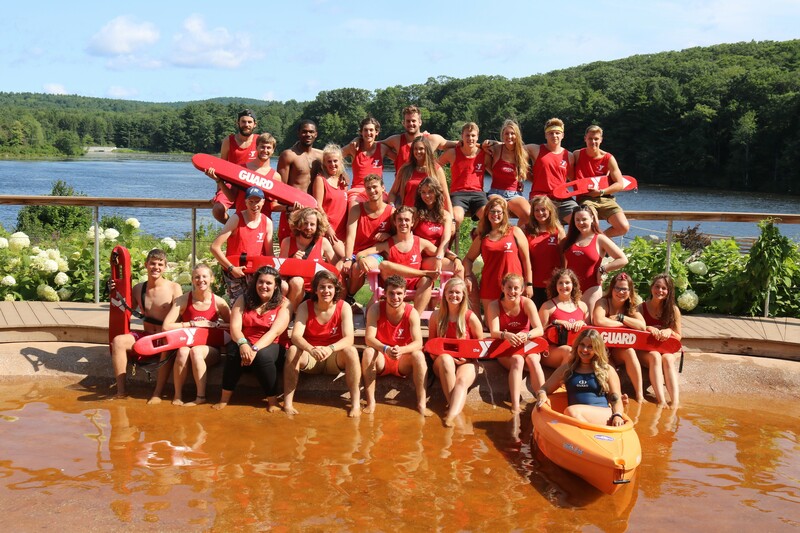 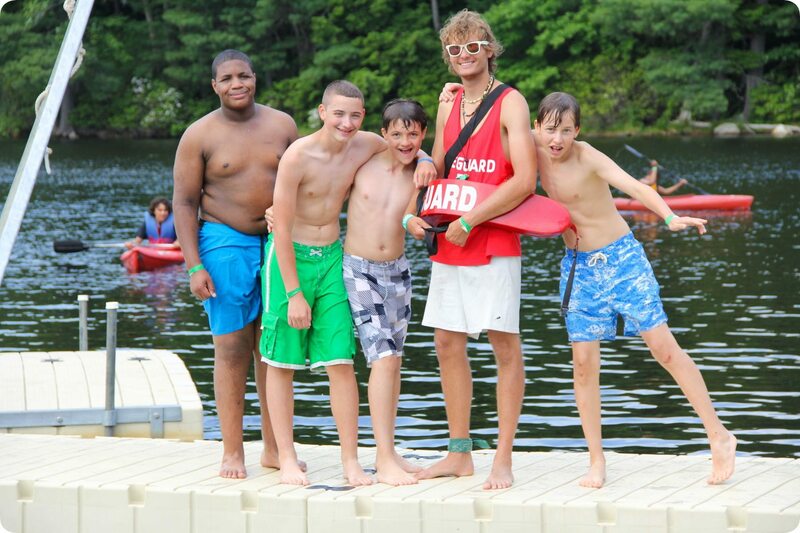 Our certified lifeguards are on duty at all times! 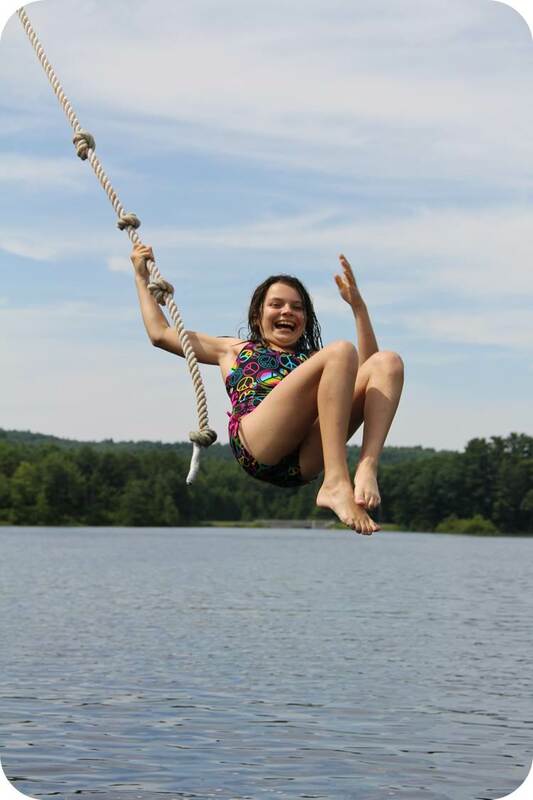 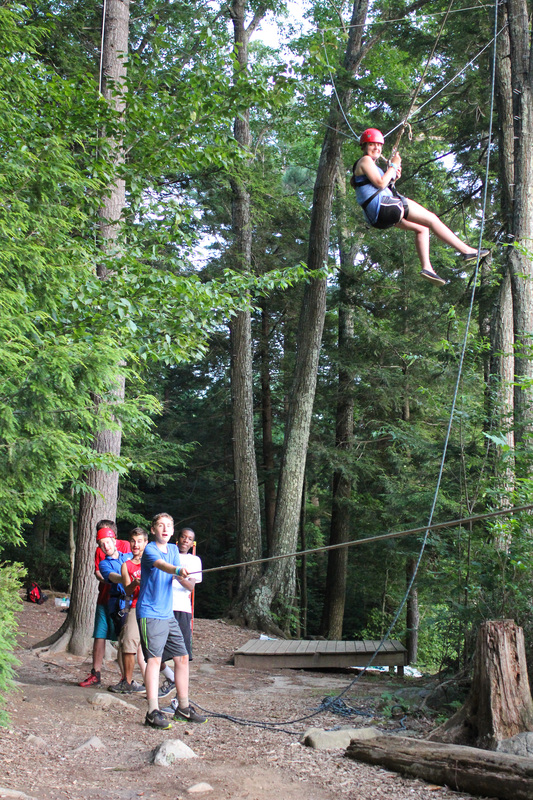 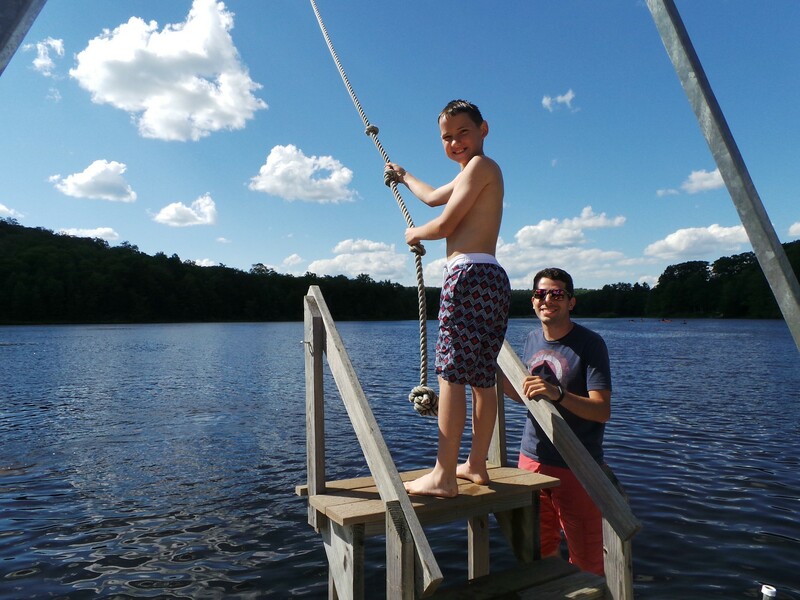 Our rope swing is a perennial favorite at Camp Jewell. 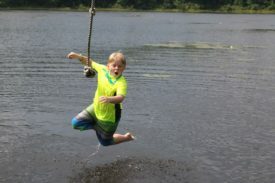 In 2011 we introduced our newest rope swing named in honor of Don Reese a long time supporter of camp and late husband of Kathie Reese our former office manager. 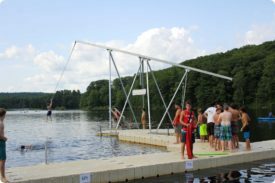 With a rope swing and zip line campers who are green swimmer have the option of swinging into the lake two different ways. 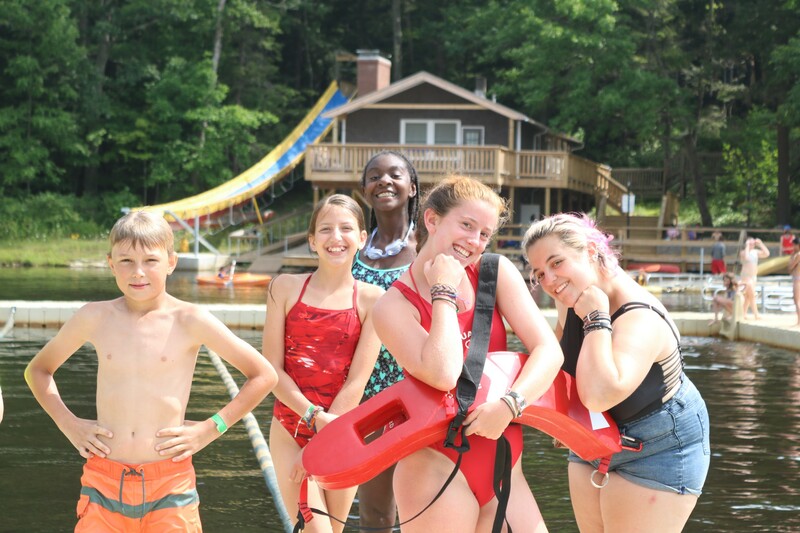 Our certified lifeguards are on duty at all times! 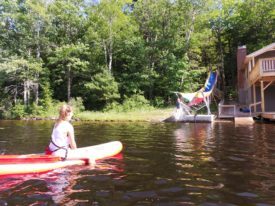 The latest addition to our waterfront is Tt’s Grotto. 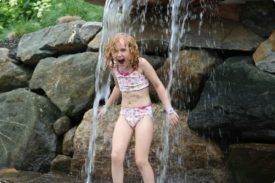 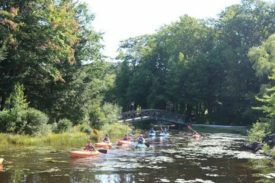 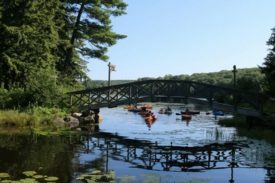 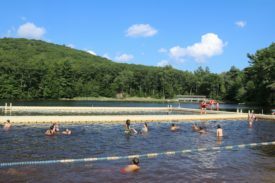 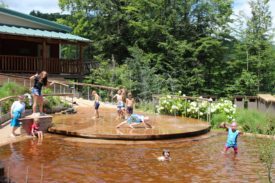 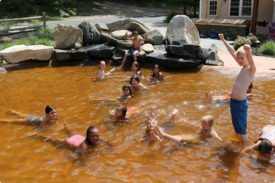 Built in memory of Taylor Manning the grotto is made up of three wading ponds with a waterfall and splash pad that uses lake water to get campers comfortable with swimming in a lake. 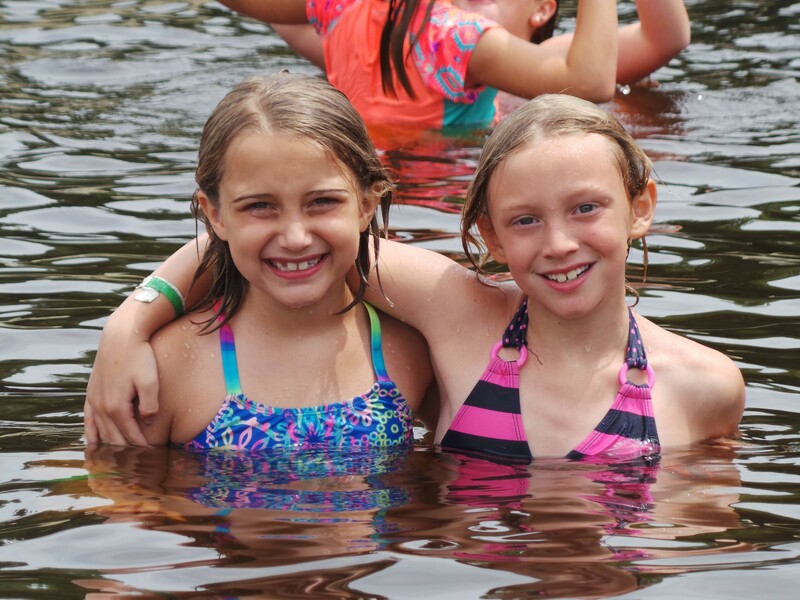 It’s the perfect place to cool down on a hot summers day connecting with old friends and making new ones! 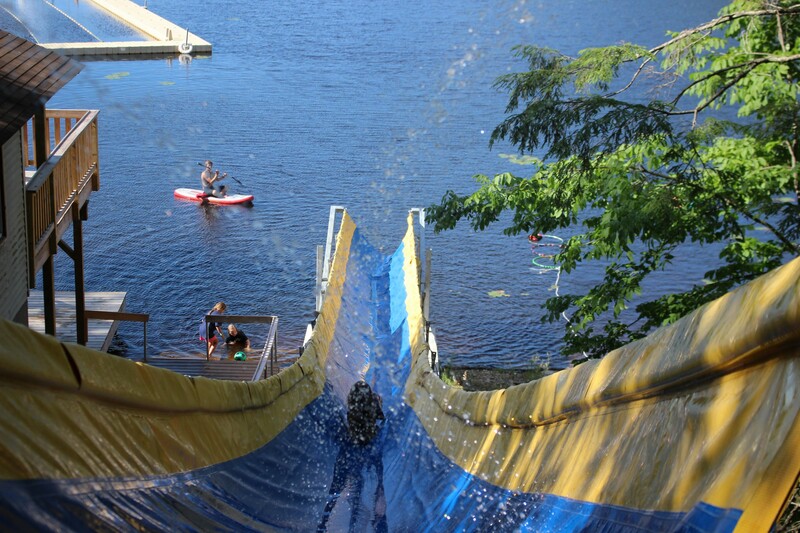 The Wet Willie Water Slide is races over 100ft down the side of our boat house and into Triangle Lake! Like our rope swing this is only able to be used by our most advanced swimmers and is an incentive for all campers to become green band swimmers! 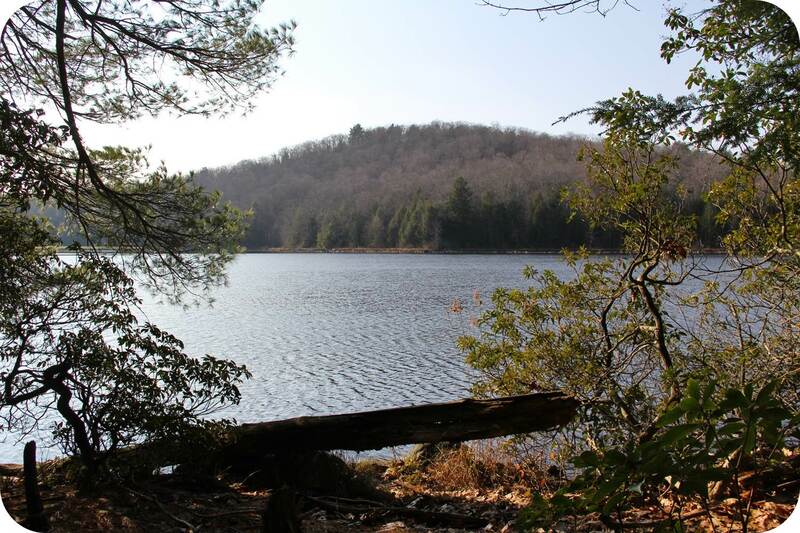 Triangle Lake is full of a variety of fishes that makes for a great activity! 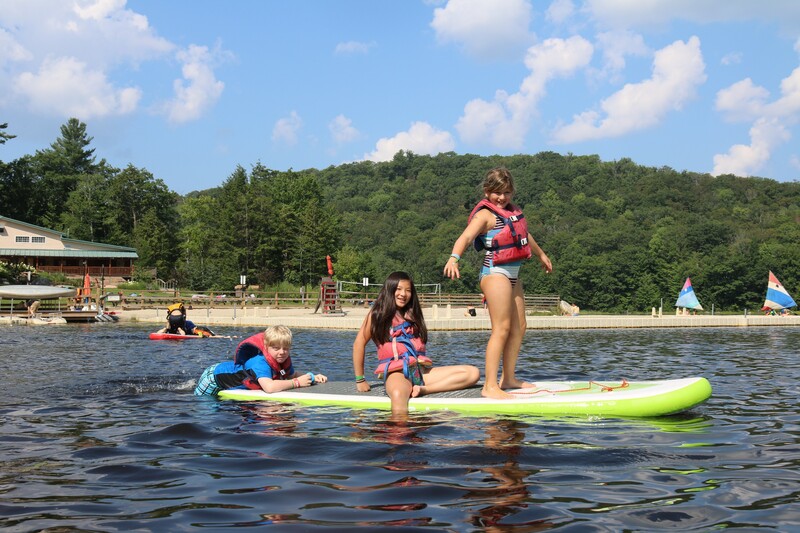 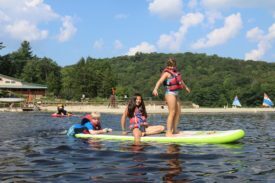 One of our newest waterfront activities, paddle-boarding is part of our popular water sport clinic as well as a fun activity during free swim and cabin time! 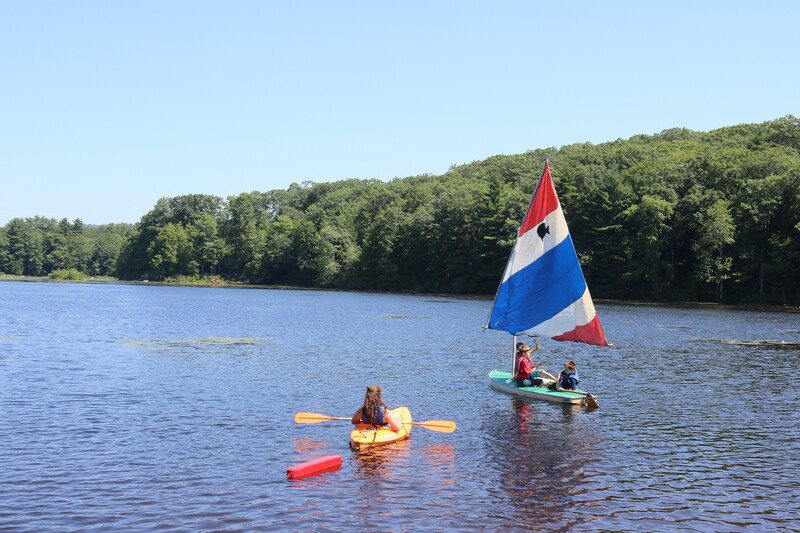 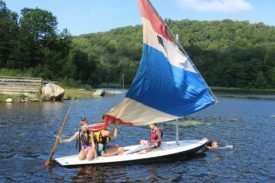 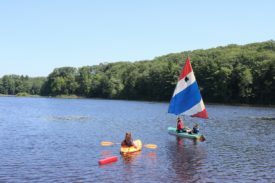 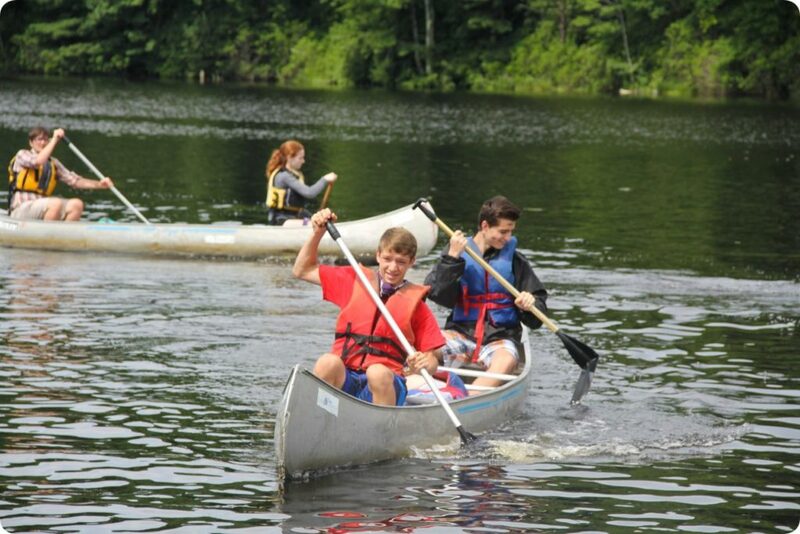 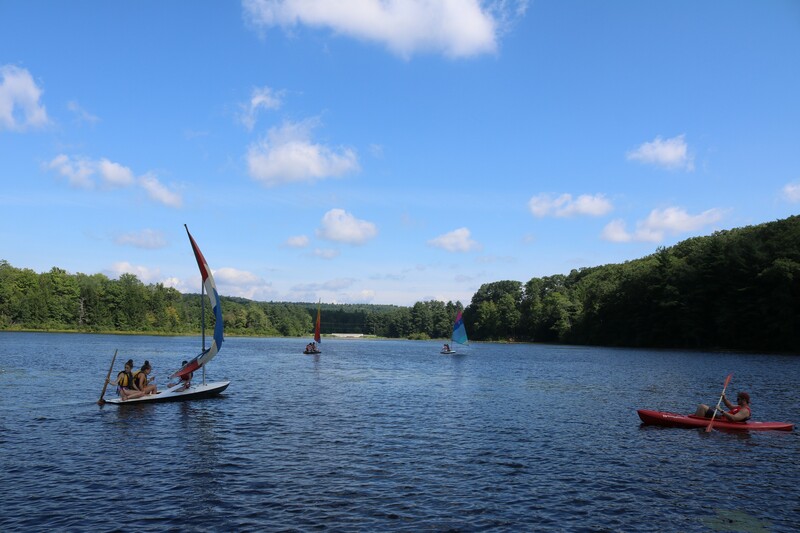 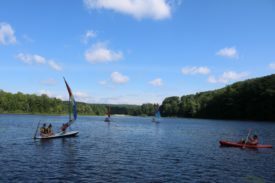 Sail across Triangle Lake in one of our many sunfish boats. 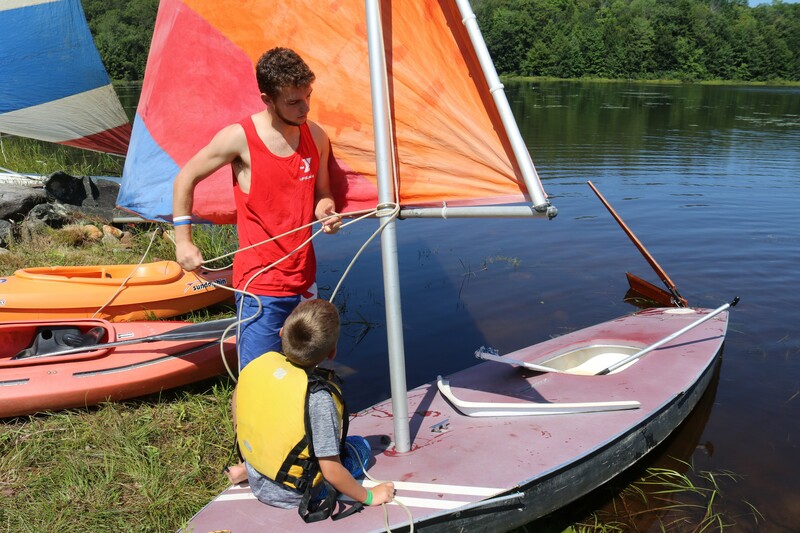 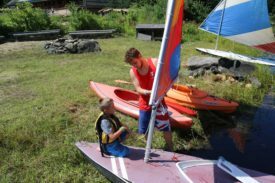 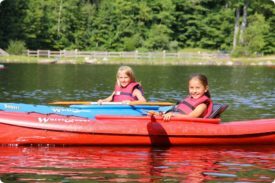 Under the supervision of our trained boating instructors, campers will learn how to rig the boat as well as sail it with their partner! 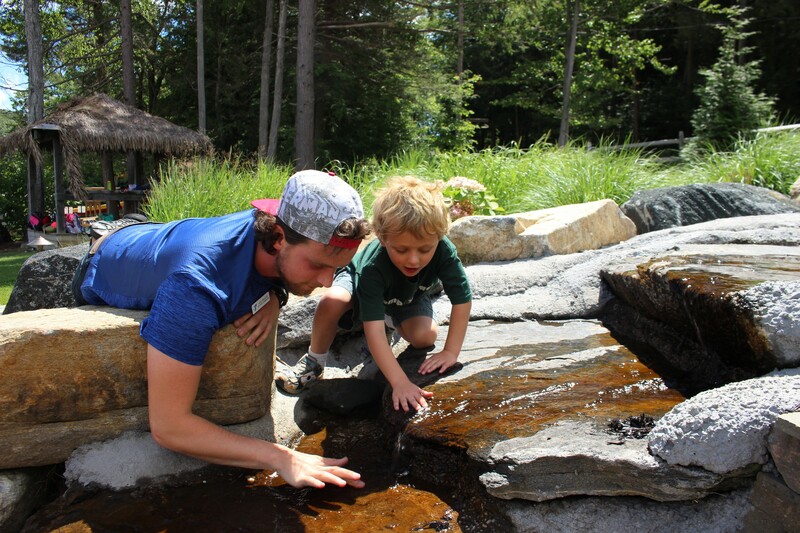 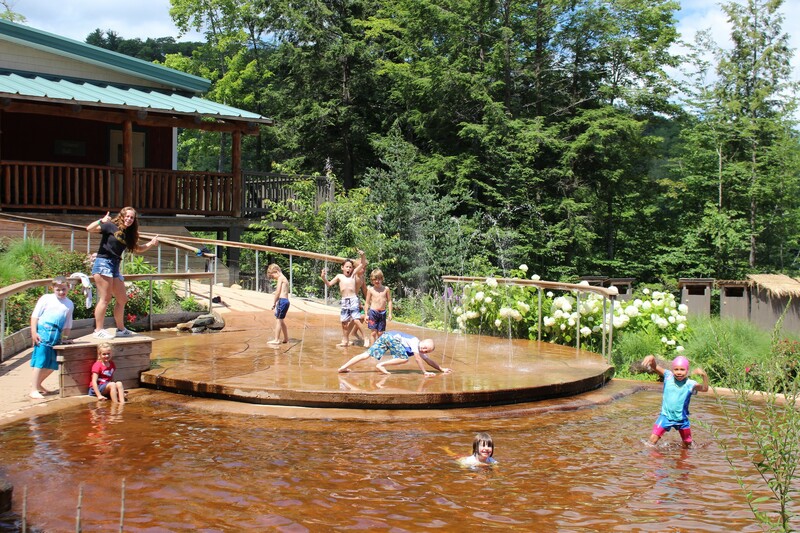 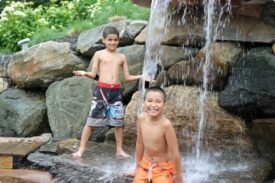 TT’s grotto is a splash pad that uses lake water and is a huge hit with our younger campers! 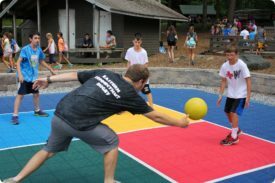 Ga Ga is our Dodge ball activity that is played in an octagonal pit, at Camp Jewell we have five outdoor Ga Ga pits and an indoor inflatable court. 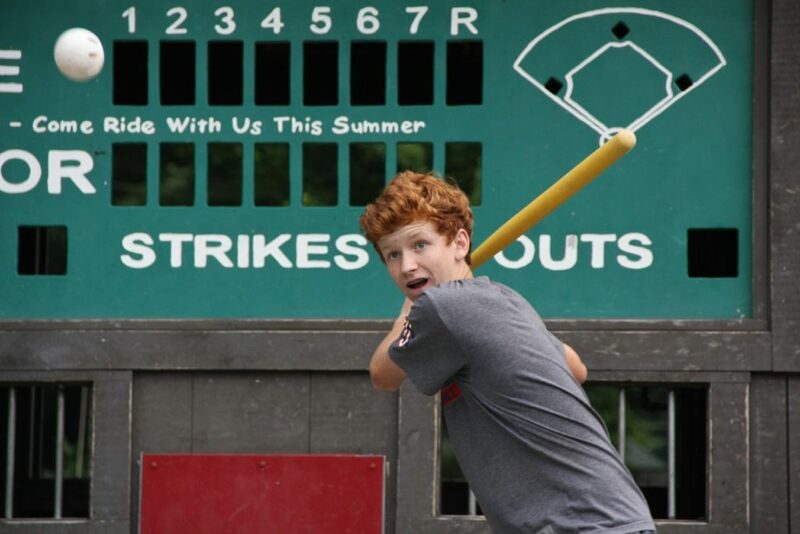 You can only hit the ball with an open hand. 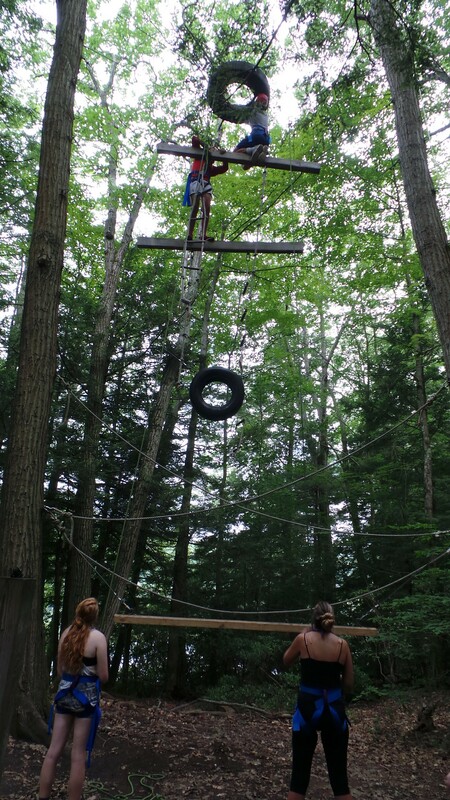 No throwing or catching is allowed. 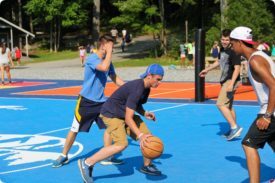 Play the ball off the wall to yourself or hit your opponent below the waist with it. 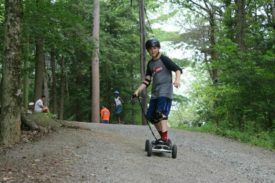 It is a safer twist on an old classic. 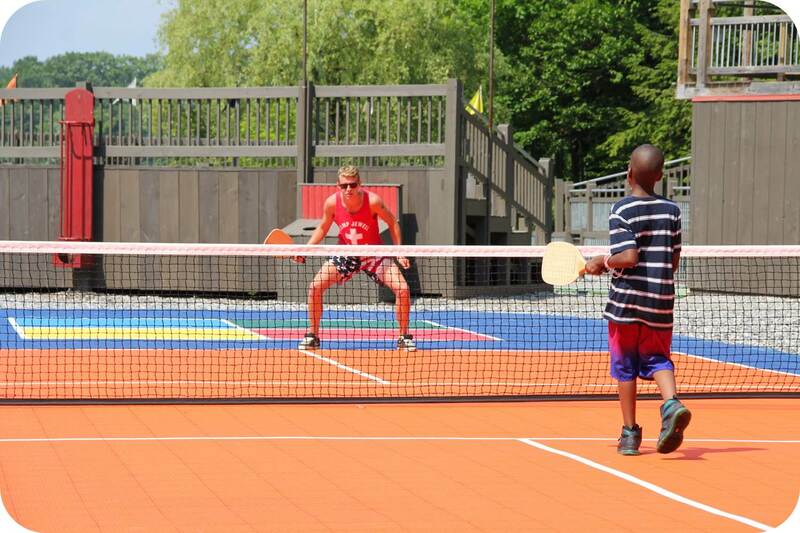 Kids love to play it. 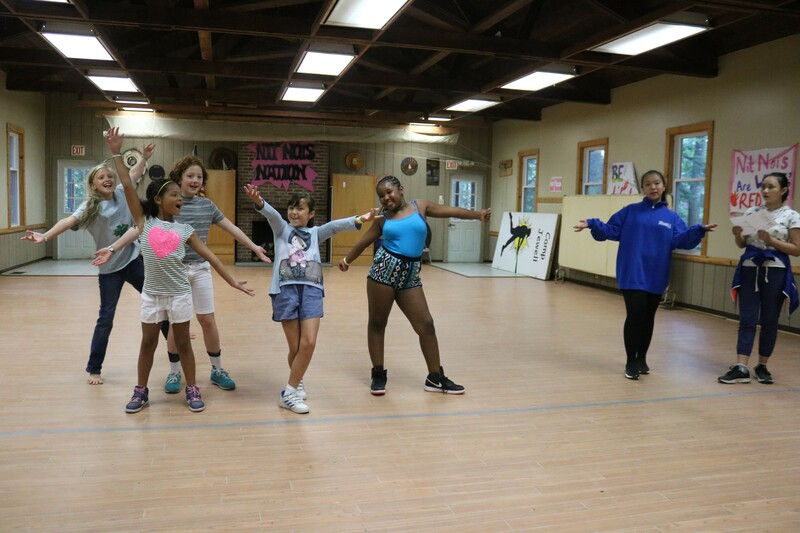 In fact, they go “gaga” for Ga Ga! 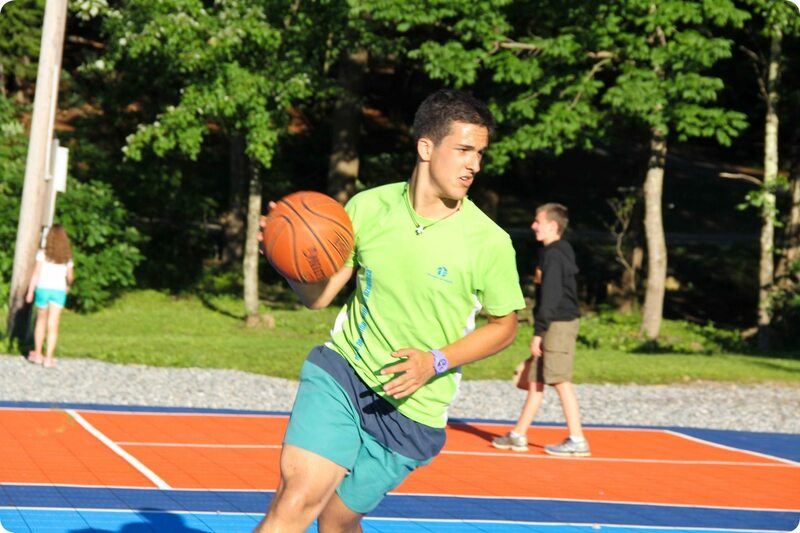 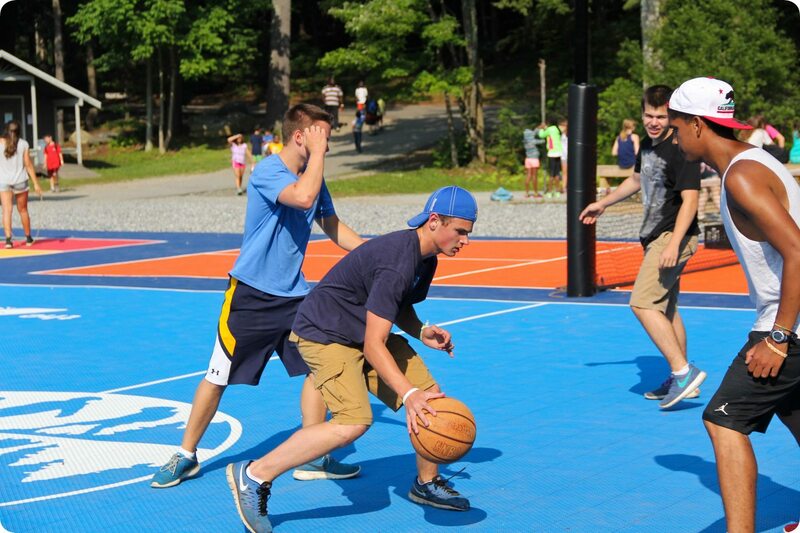 Basketball is one of the most popular clinics at camp as well as another choice during free time at camp. 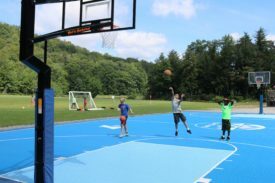 Our new basketball court was constructed in 2012 and includes seating areas for campers to watch and cheer on their friends. 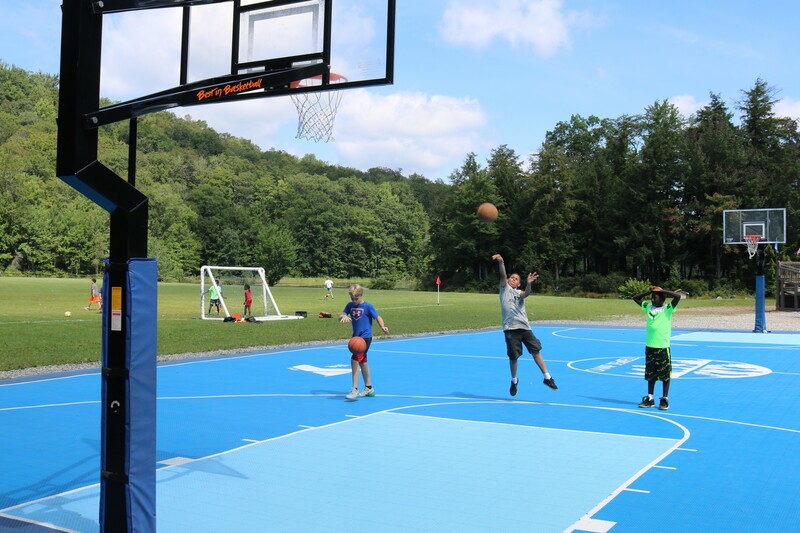 With adjustable hoops campers of all ages and heights can play! 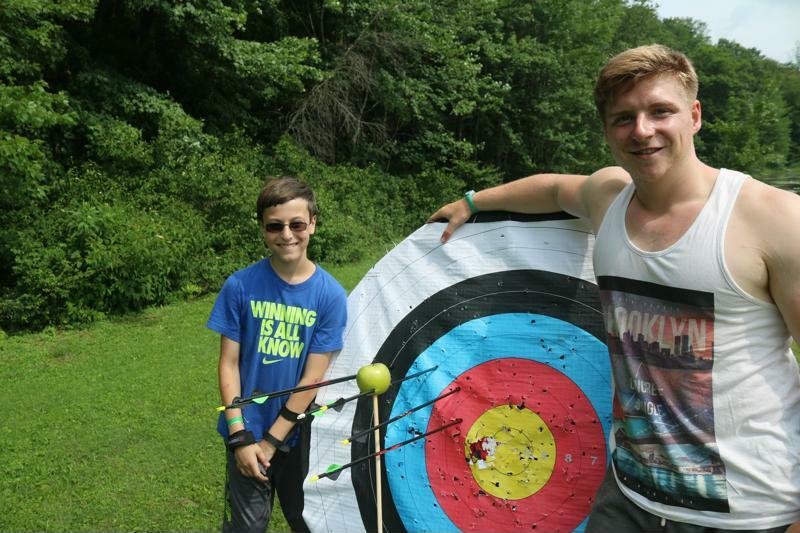 Archery is the second most popular clinic at camp! 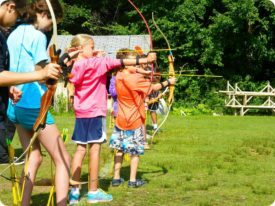 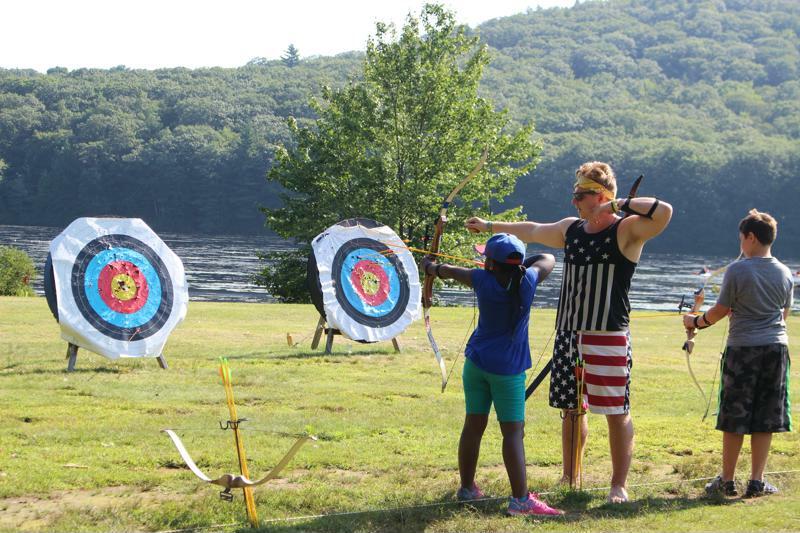 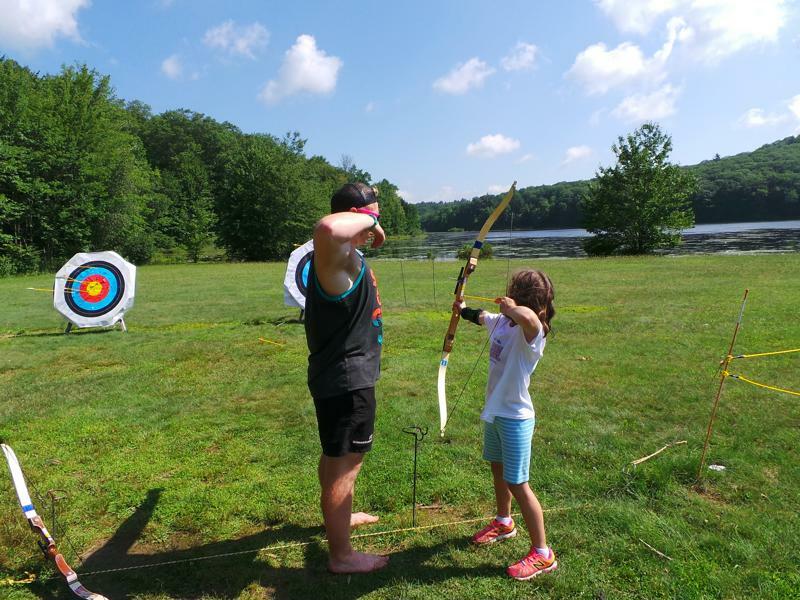 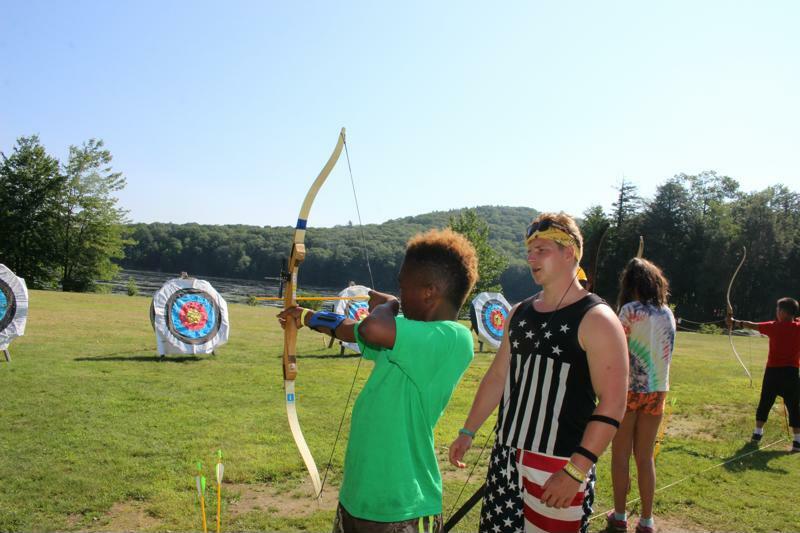 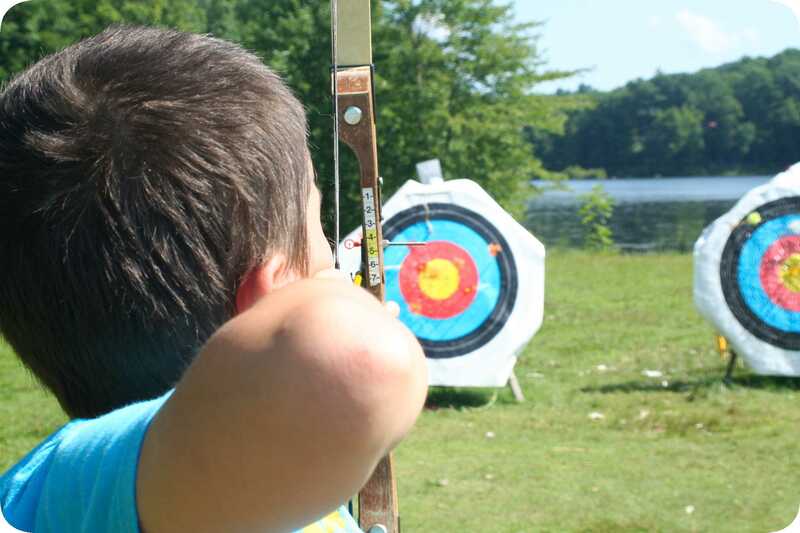 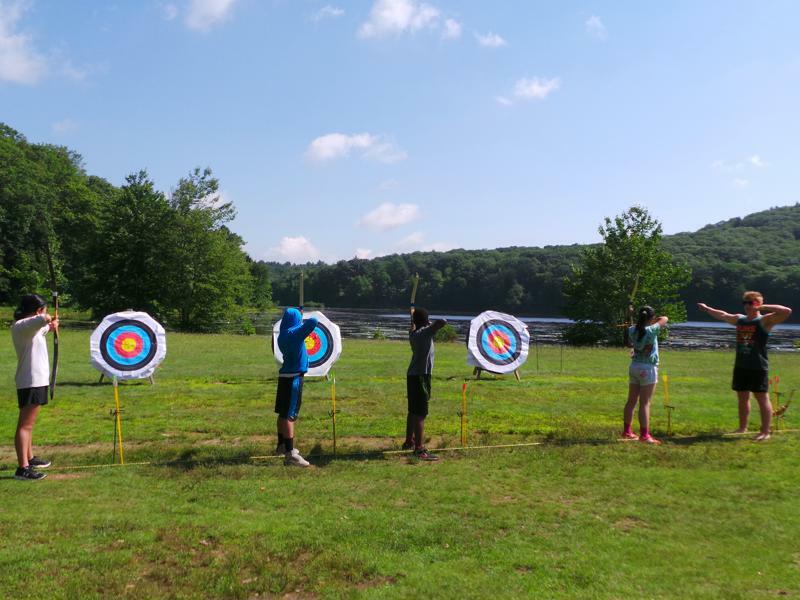 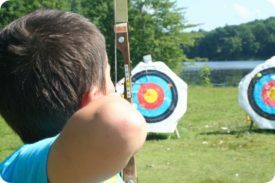 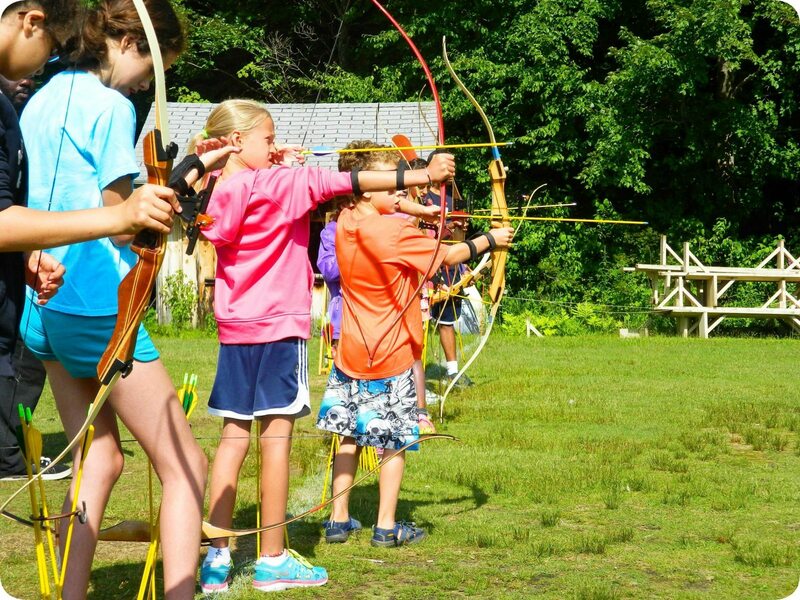 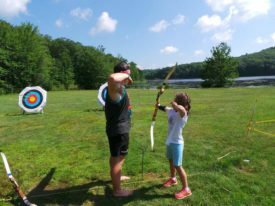 This progressive clinic teaches campers the basics of archery up to more advanced skills. 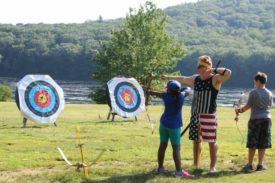 Our certified staff is taught each summer by Art Hall, who has been involved in archery since he shot his first arrow at Camp Jewell in 1952! 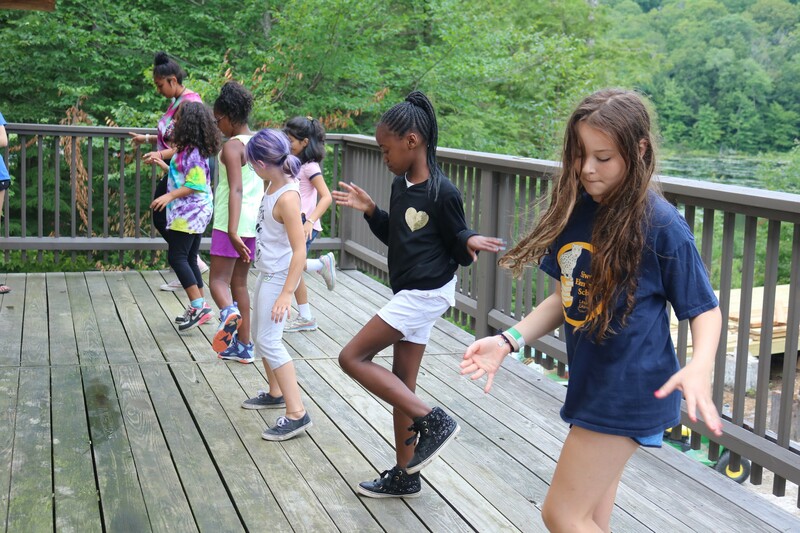 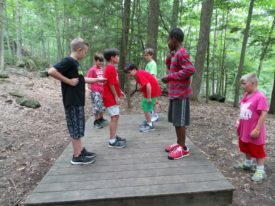 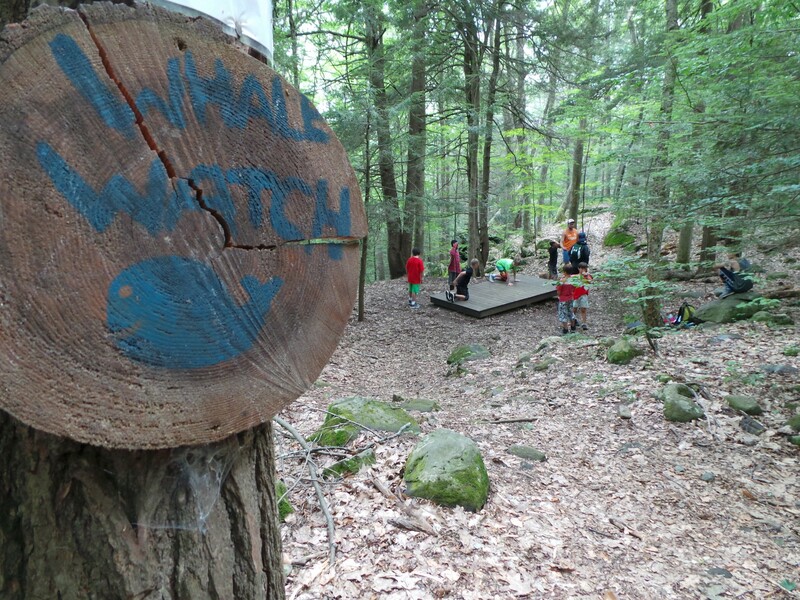 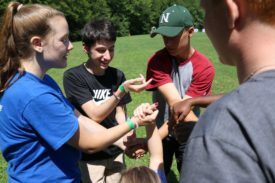 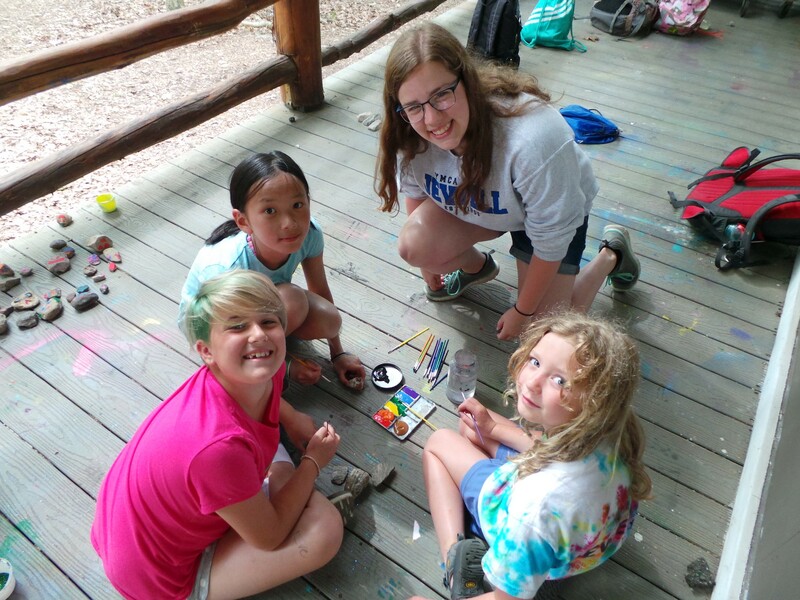 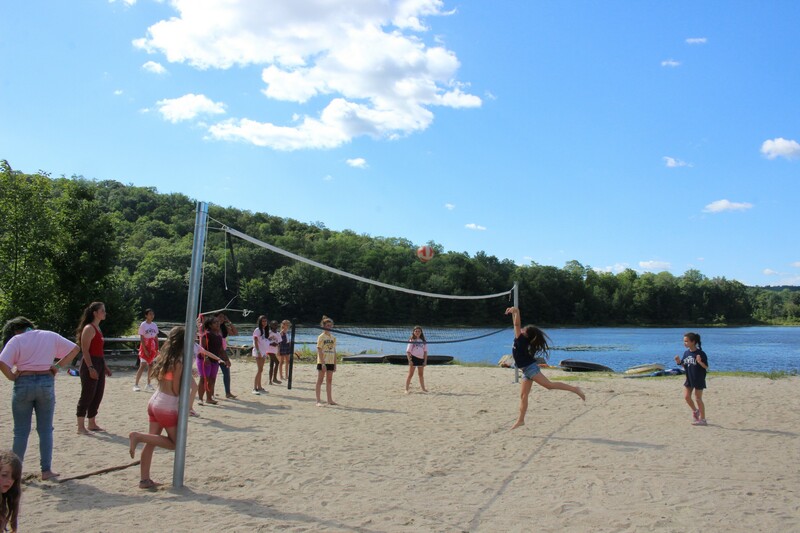 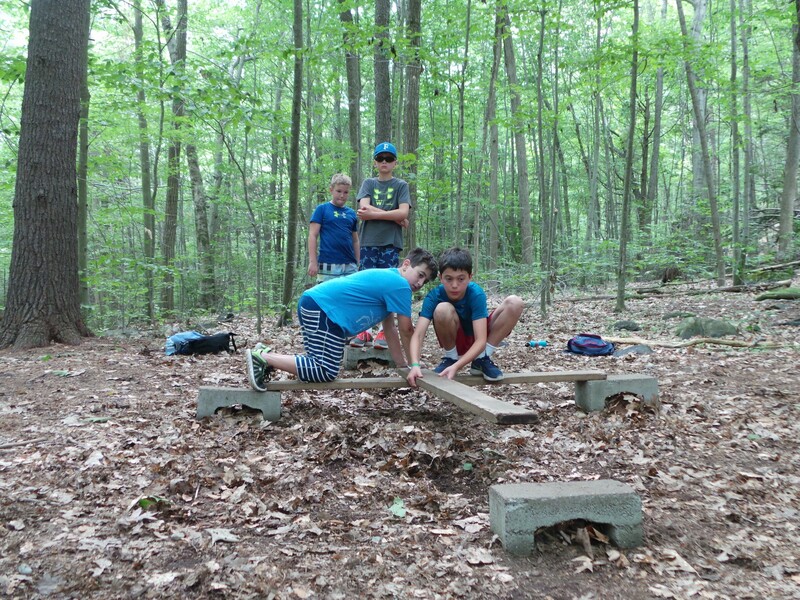 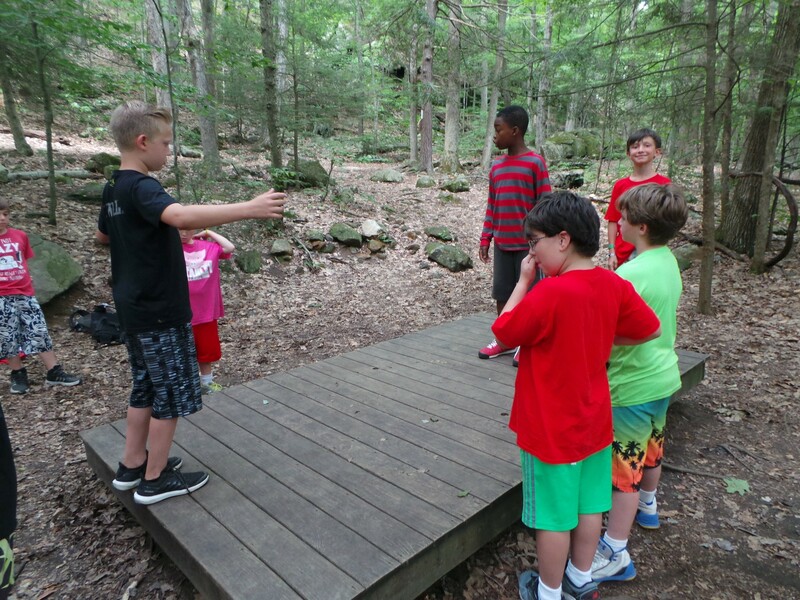 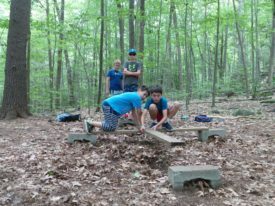 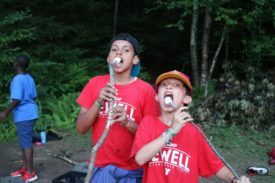 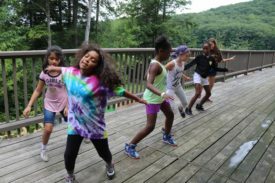 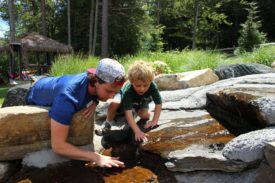 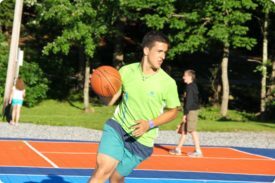 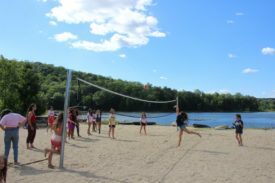 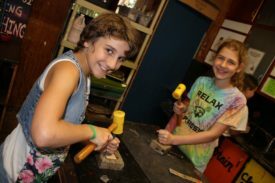 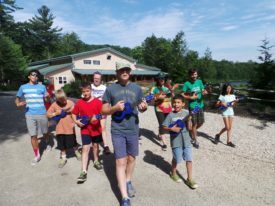 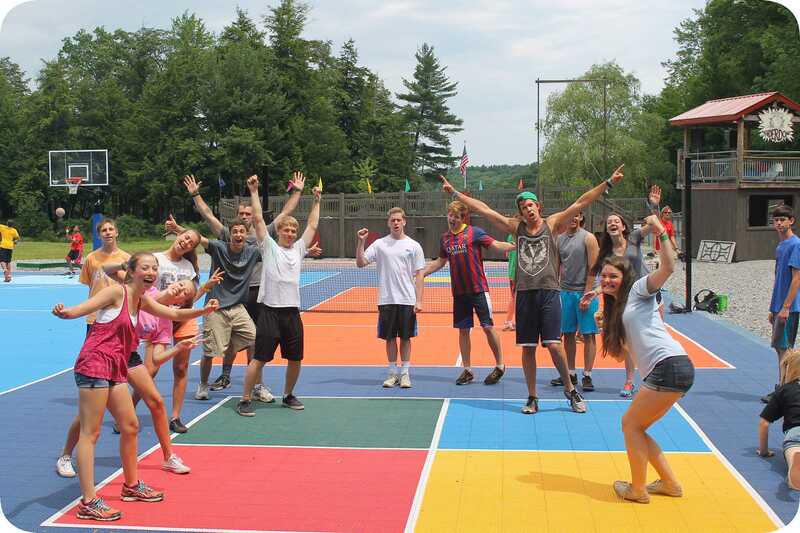 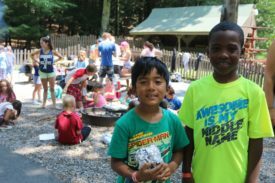 A perennial camp, and playground favorite 4-Square is just one of many games and activities that can be played during free time, or as a cabin group. 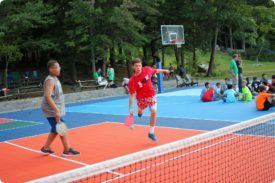 Pickleball is a racquet sport that combines elements of badminton, tennis, and table tennis and is just one of the many clinic choices at Camp Jewell YMCA in addition to being a favorite game for campers to play during free time. 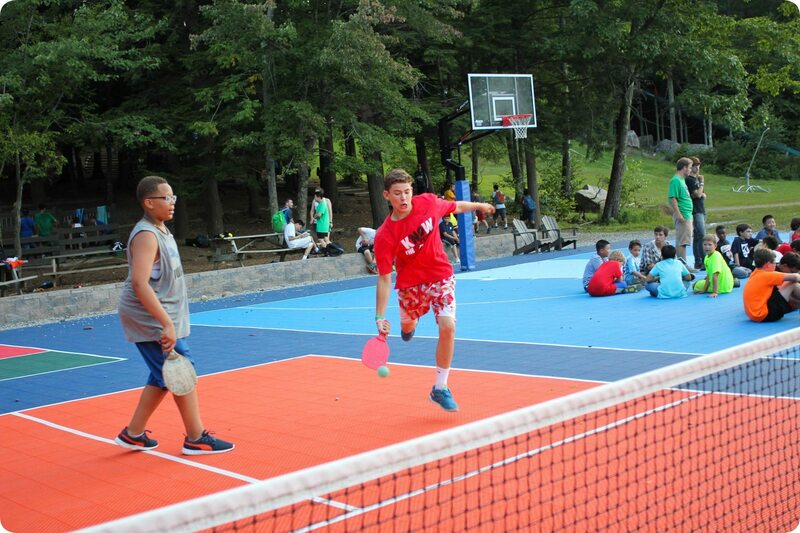 Up to 4 players can play at a time and the game uses paddles similar to those in table tennis along with a ball that is very similar to a wiffleball! 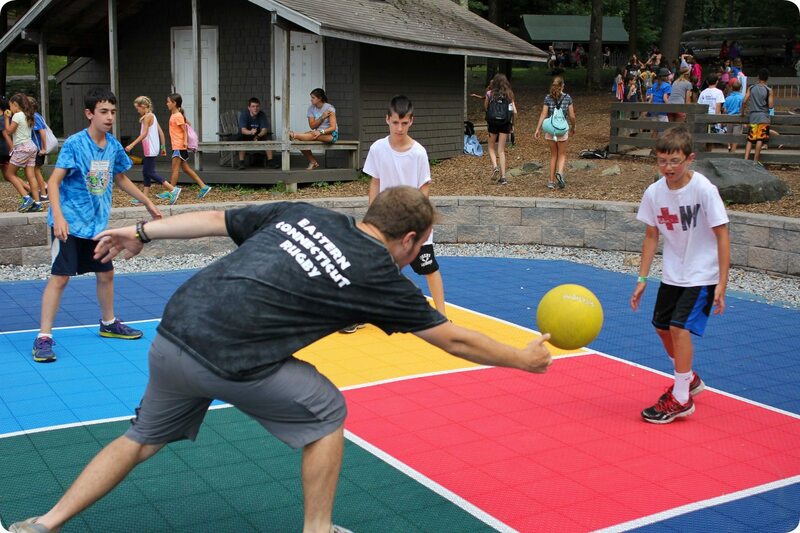 Carpetball is one of many activities that takes place during free time before meals. 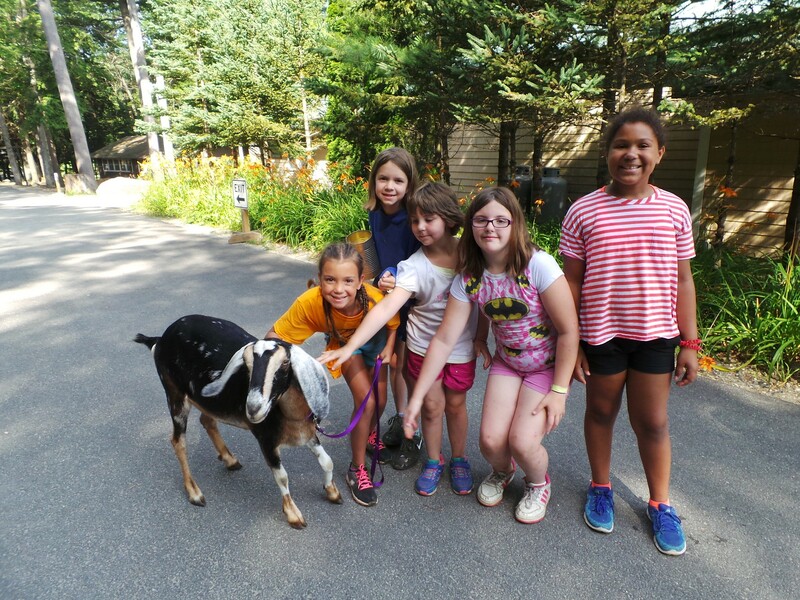 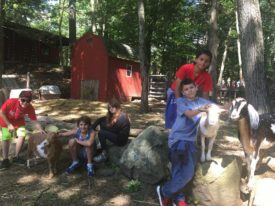 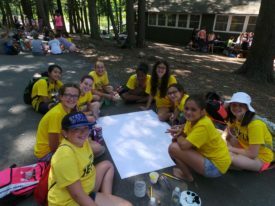 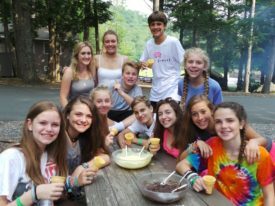 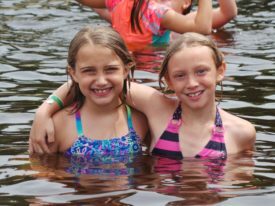 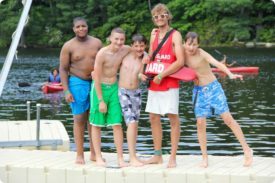 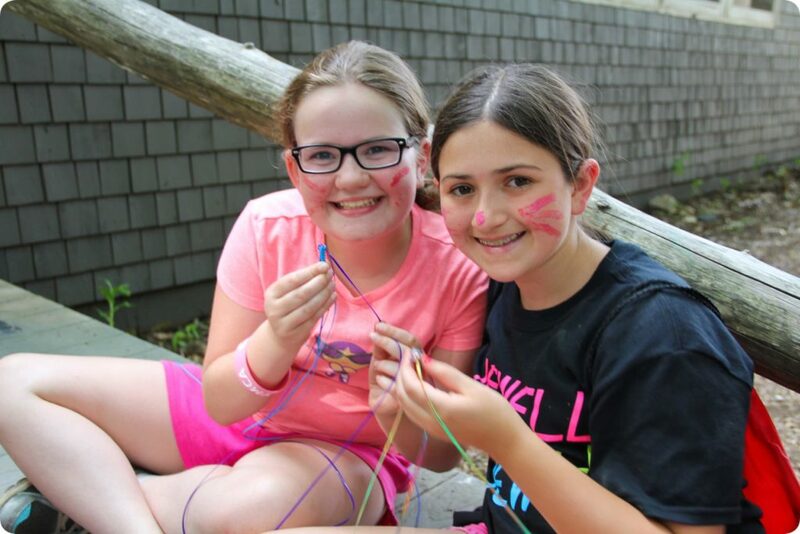 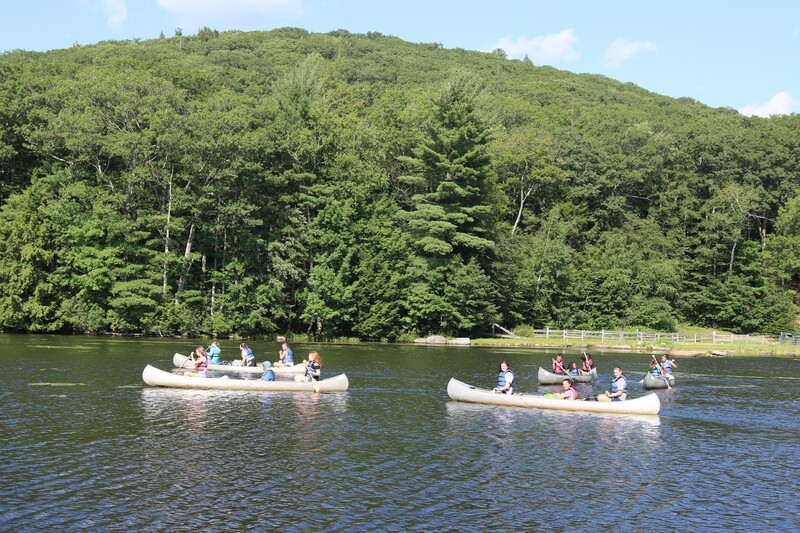 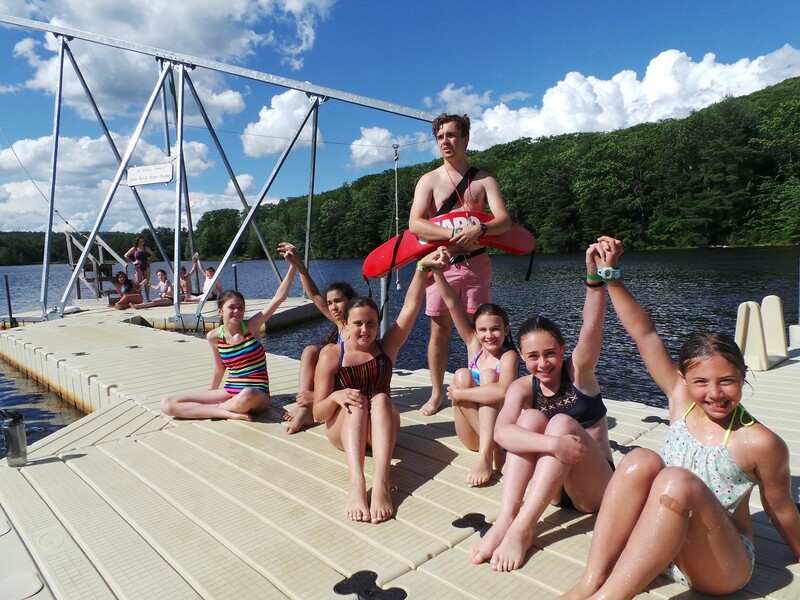 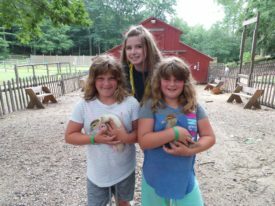 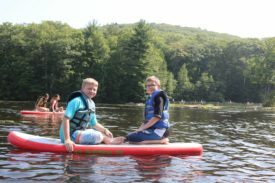 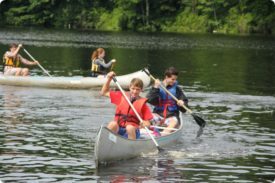 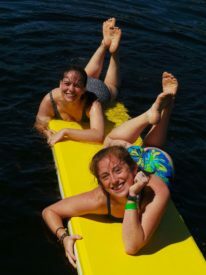 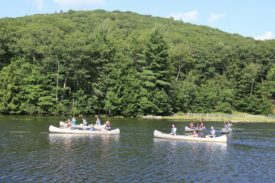 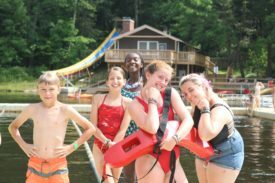 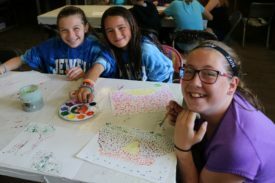 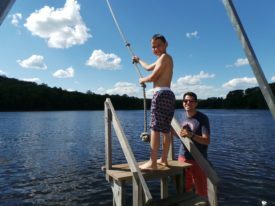 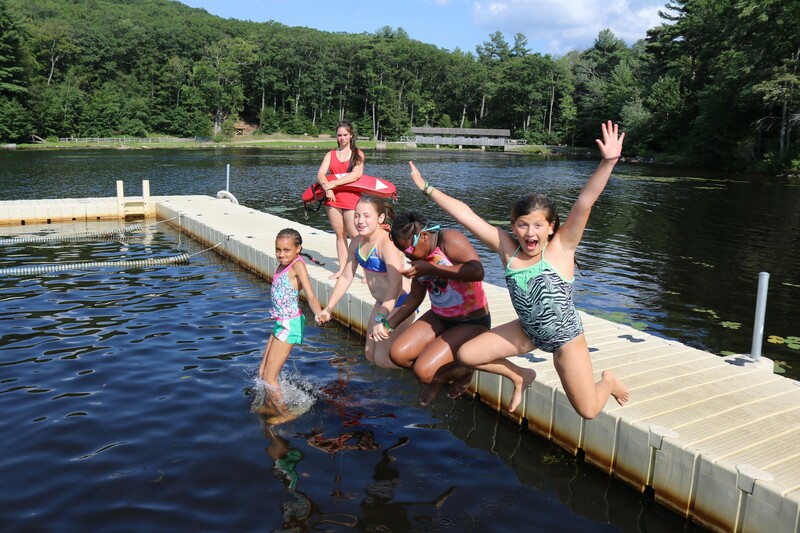 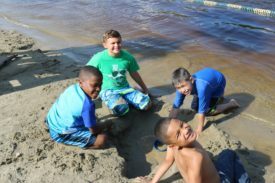 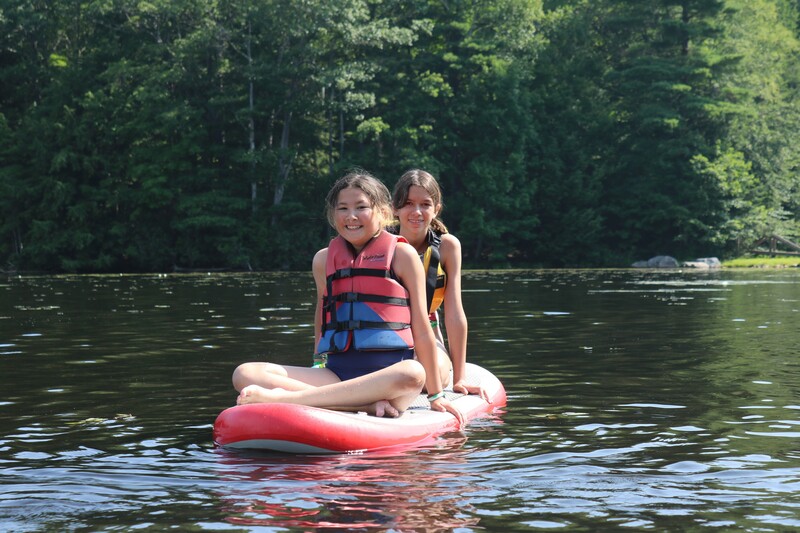 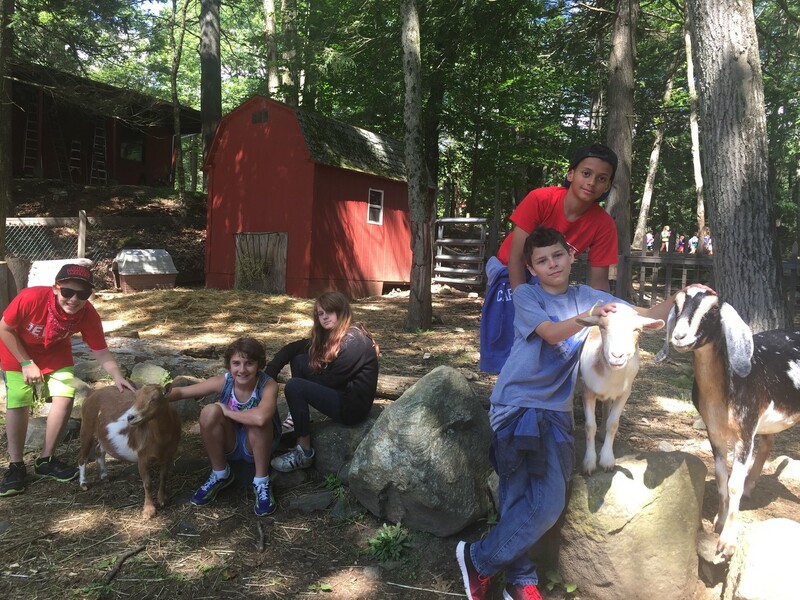 These times are designed for campers to reconnect with each other, for siblings to catch up on the day’s events, and for friendships to be made, all under the supervision of our counselors. 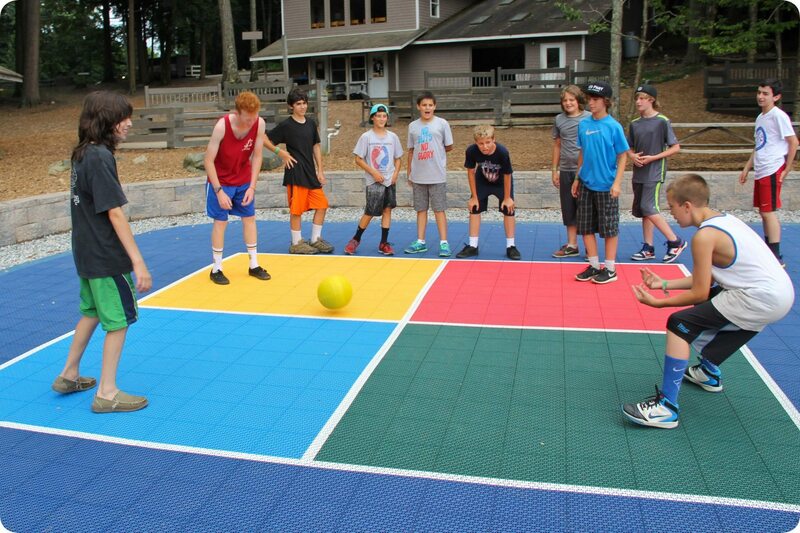 We have three carpetball tables spread around camp where campers can challenge each other to a game while friends support from the viewing areas. Wiffleball is a version of baseball played with a yellow plastic ball and lightweight, perforated ball. 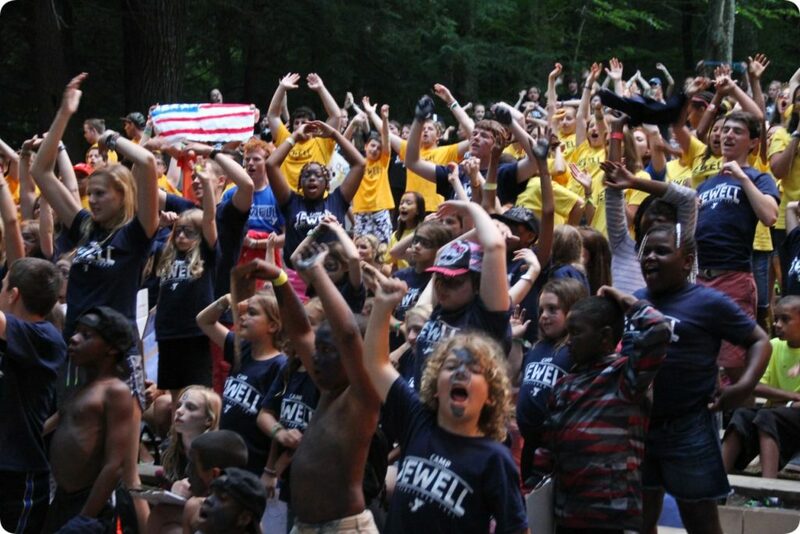 It’s one of the most popular sports at Camp Jewell so much that we built the Thunderdome to play it in! 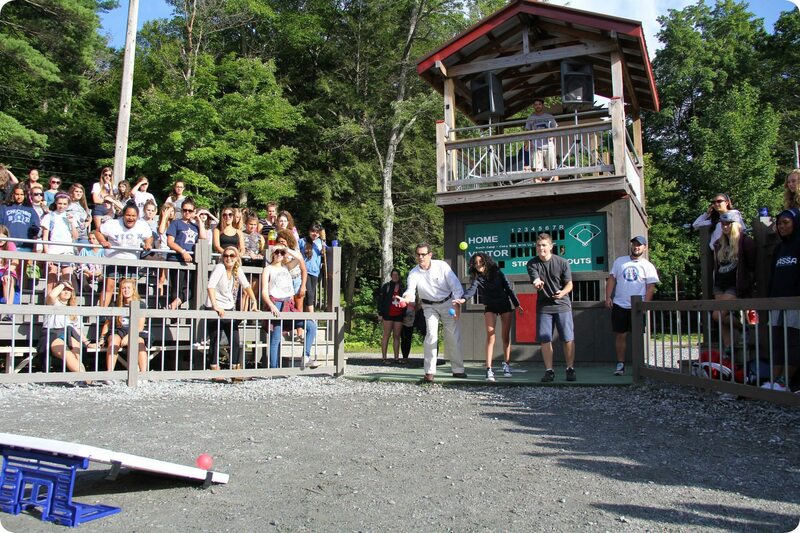 Each year in our fourth session we hold the World Series of Wiffleball during the middle weekend, we grill hot dogs, serve popcorn as all of camp cheers on the final teams! 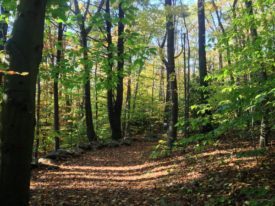 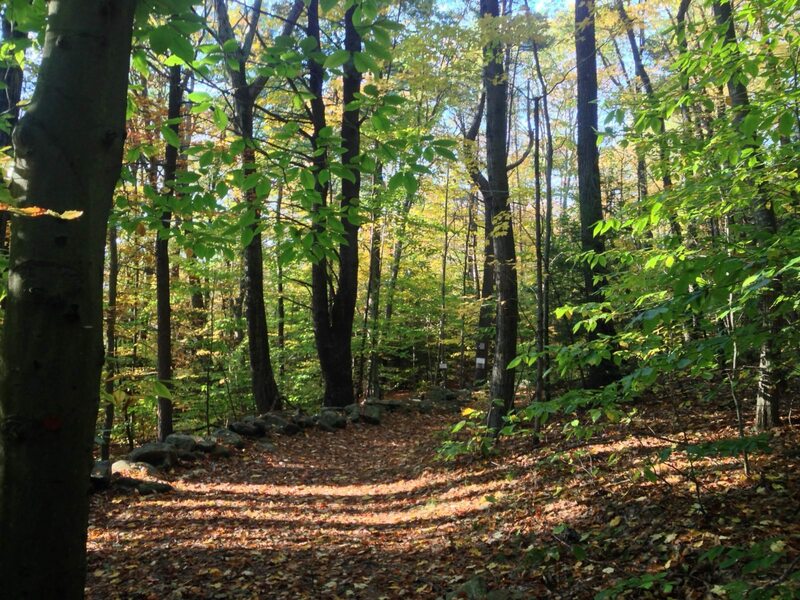 With over 500 acres at camp we have miles of signed hiking trails around our property. The most famous hike is at the top of Sunrise Mountain, where campers can see camp from high above as well as the scenic vistas! 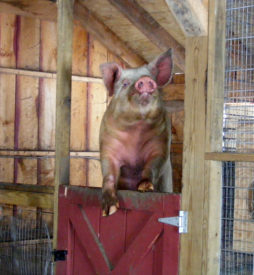 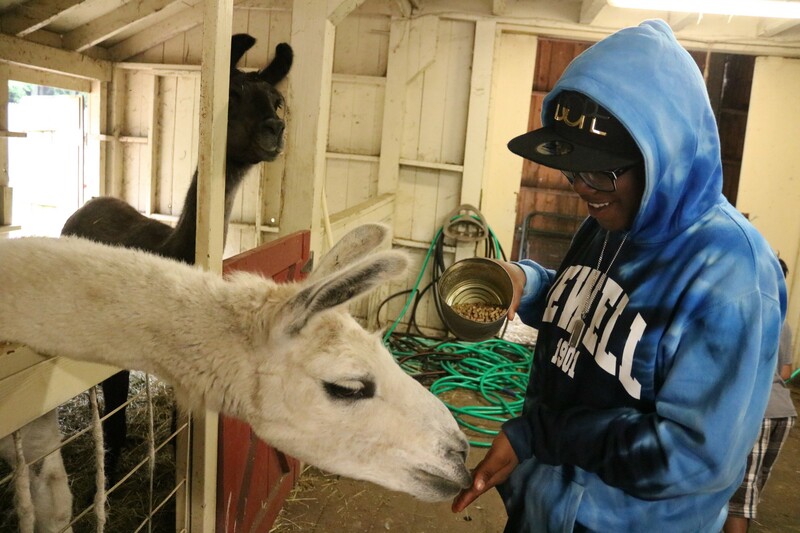 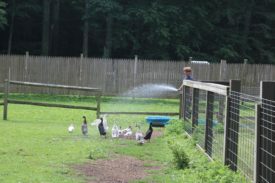 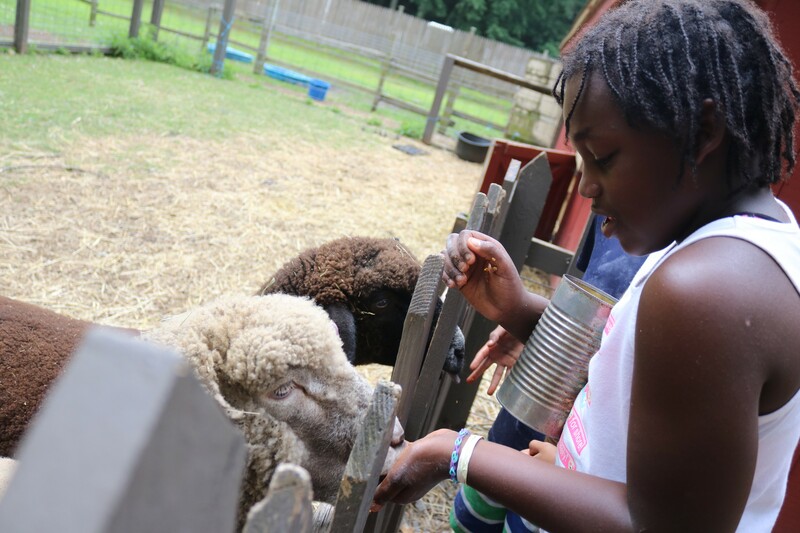 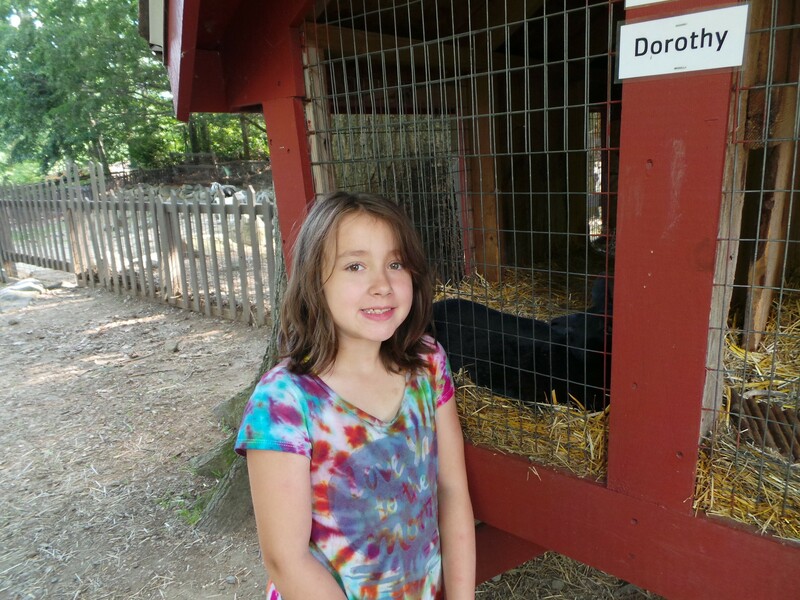 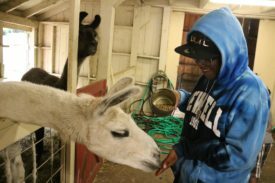 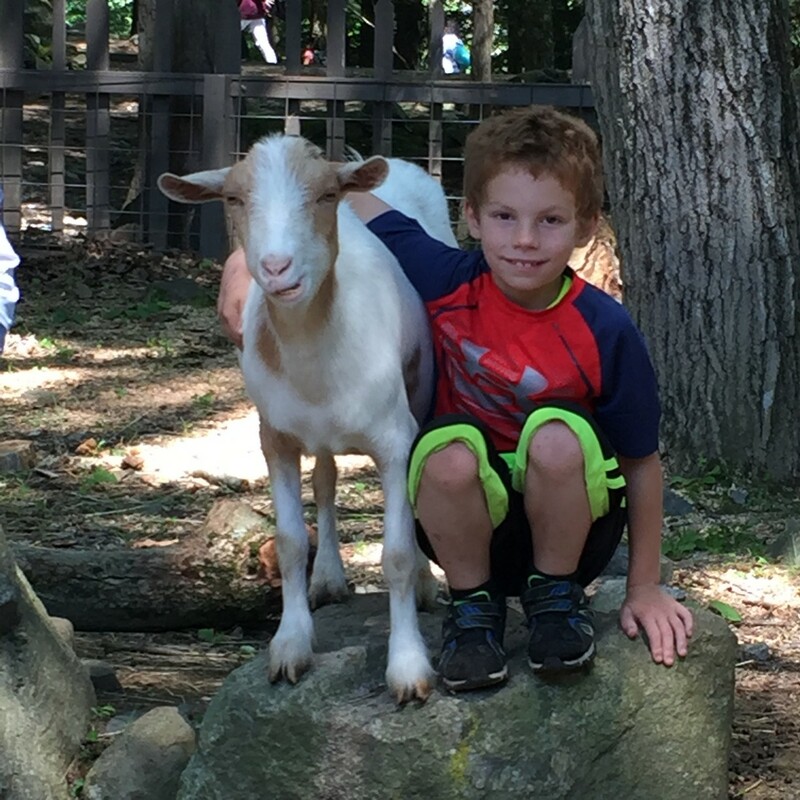 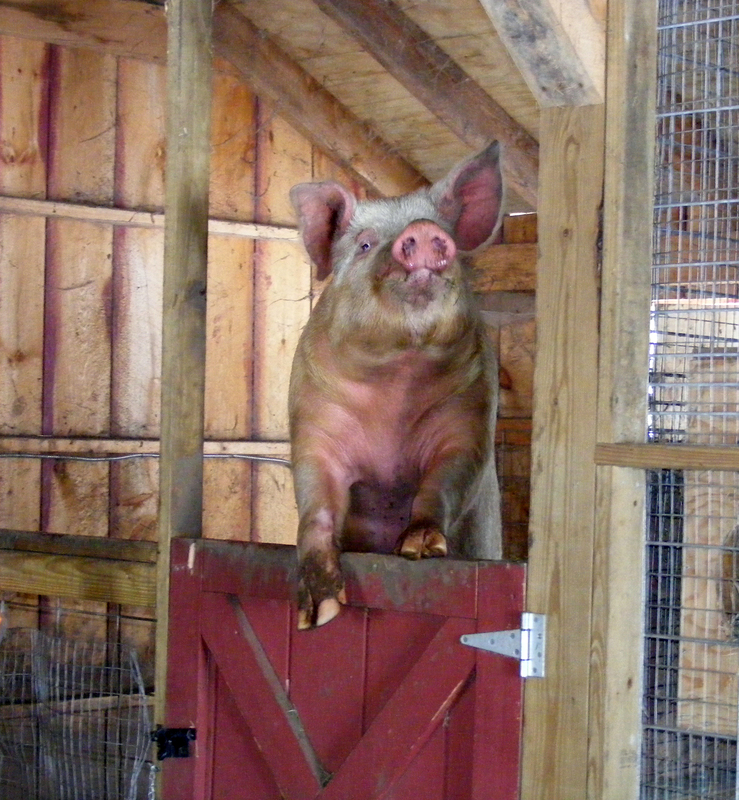 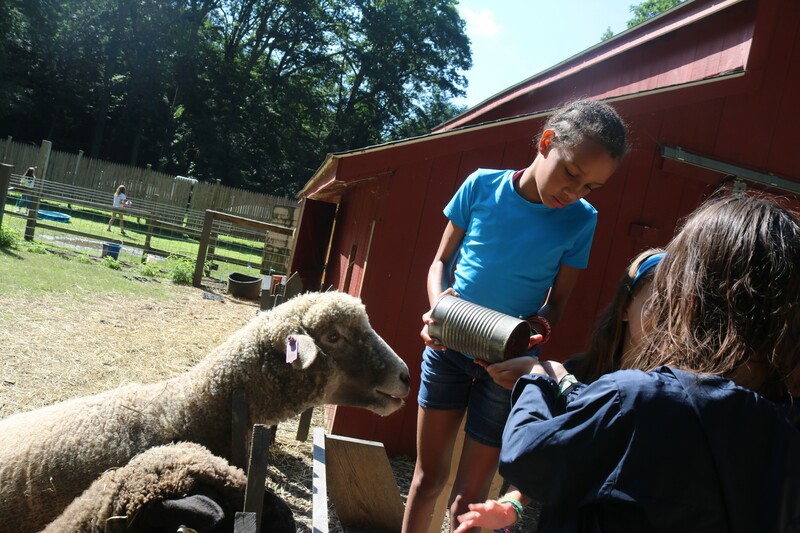 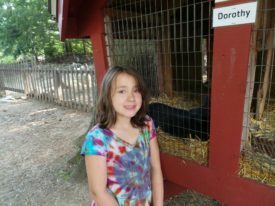 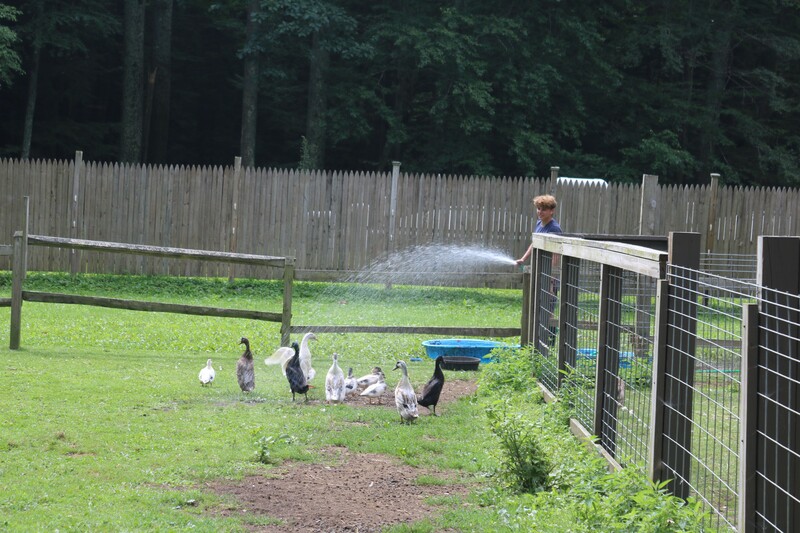 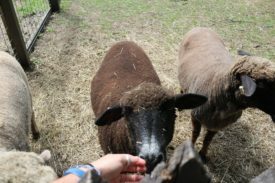 Camp Jewell’s mini-farm is home to sheep, goats, llamas, chickens, ducks, rabbits, and of course our unofficial camp mascot Stanley the pig! 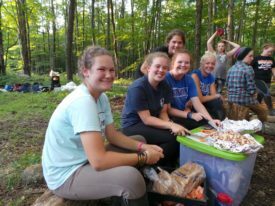 Wolves is our Outdoor Living Skills class! 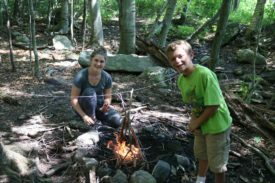 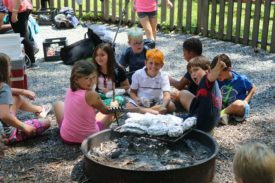 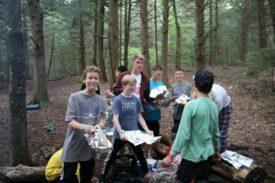 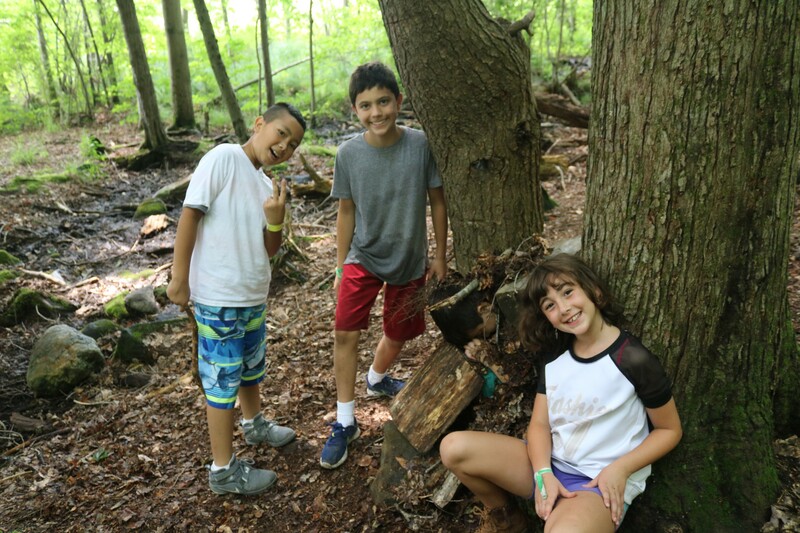 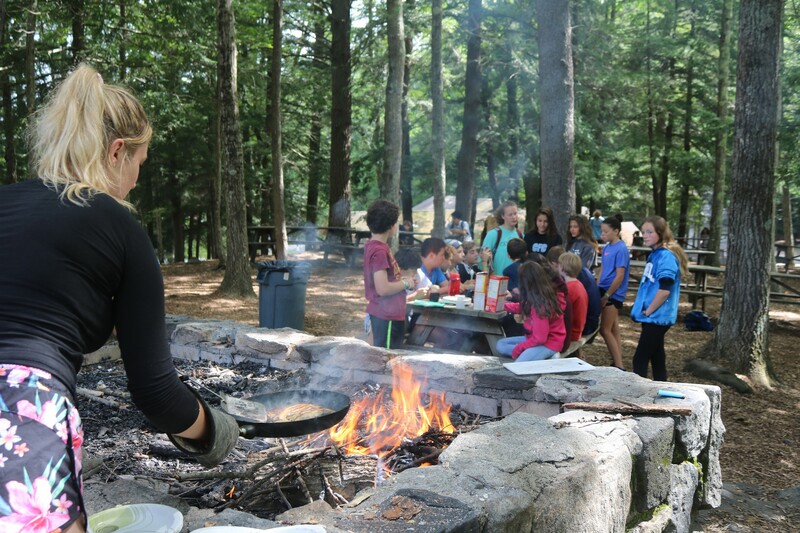 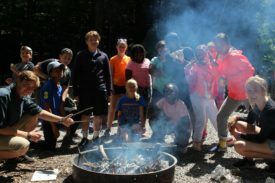 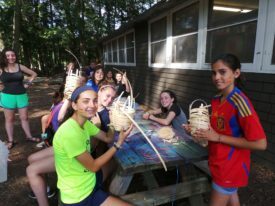 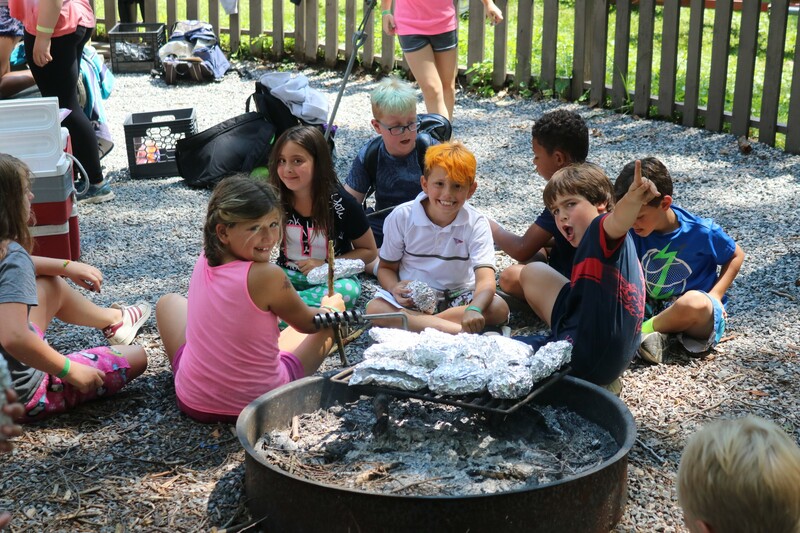 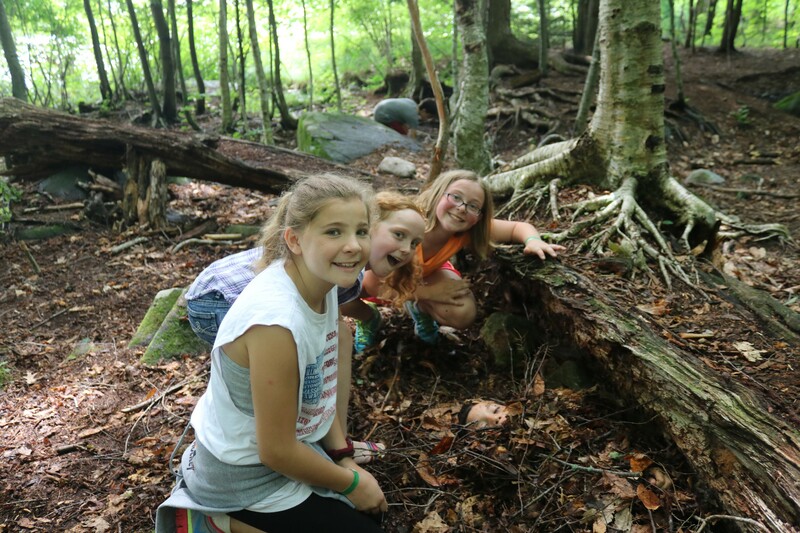 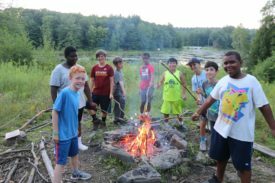 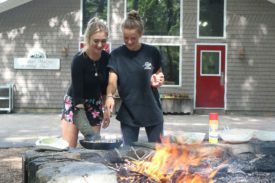 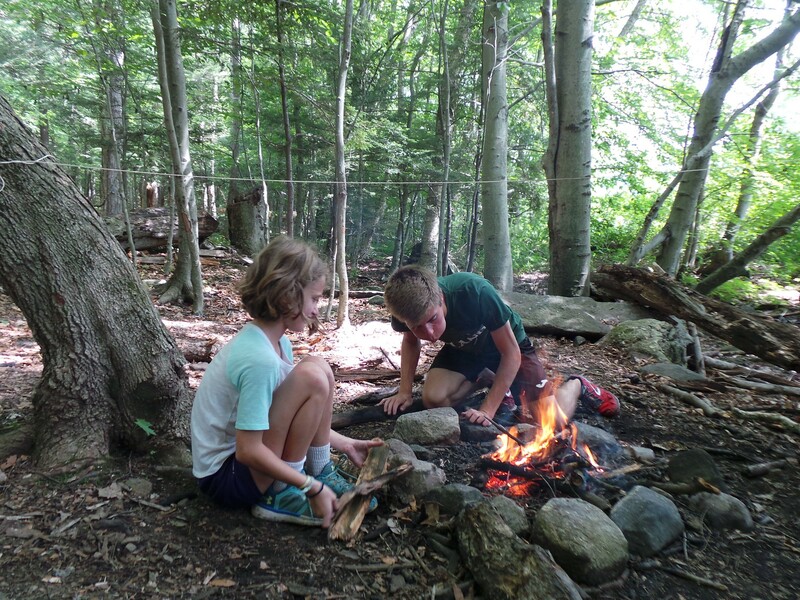 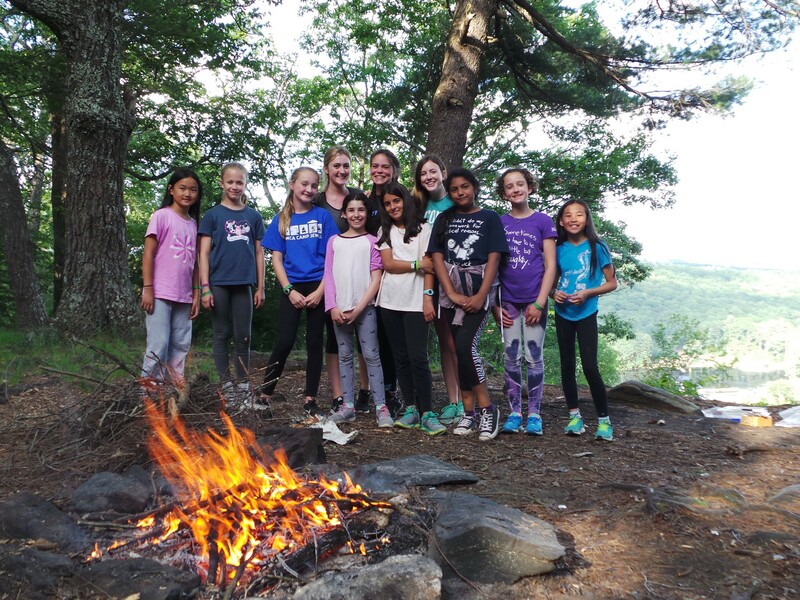 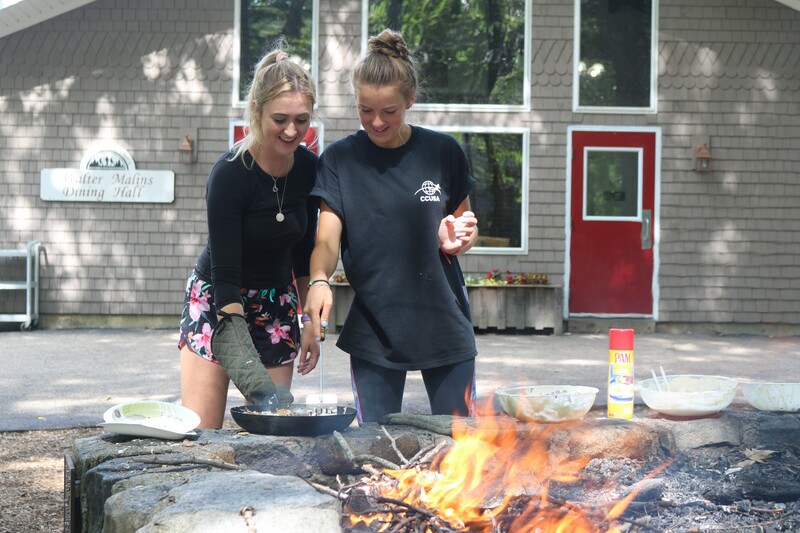 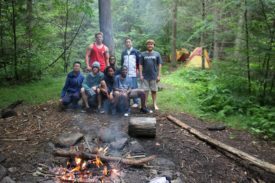 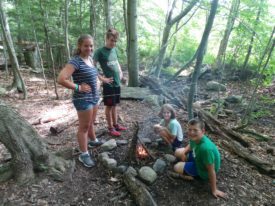 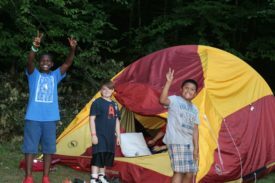 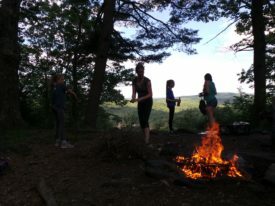 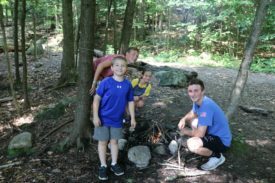 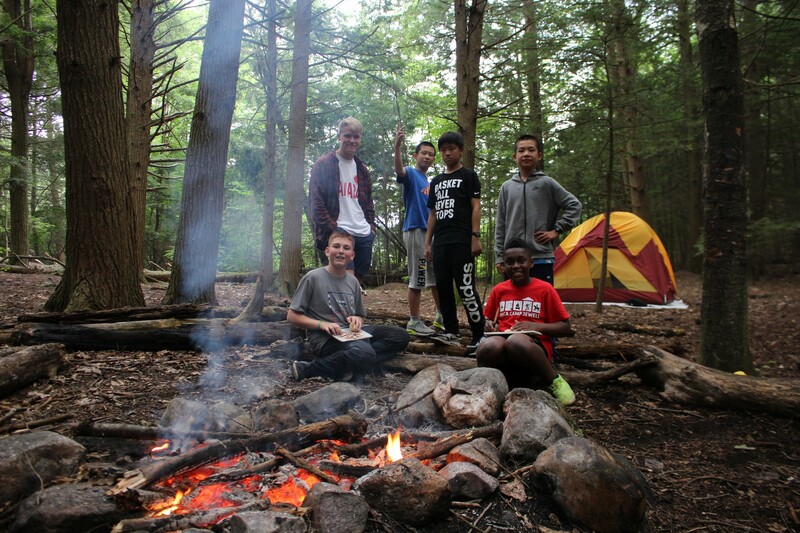 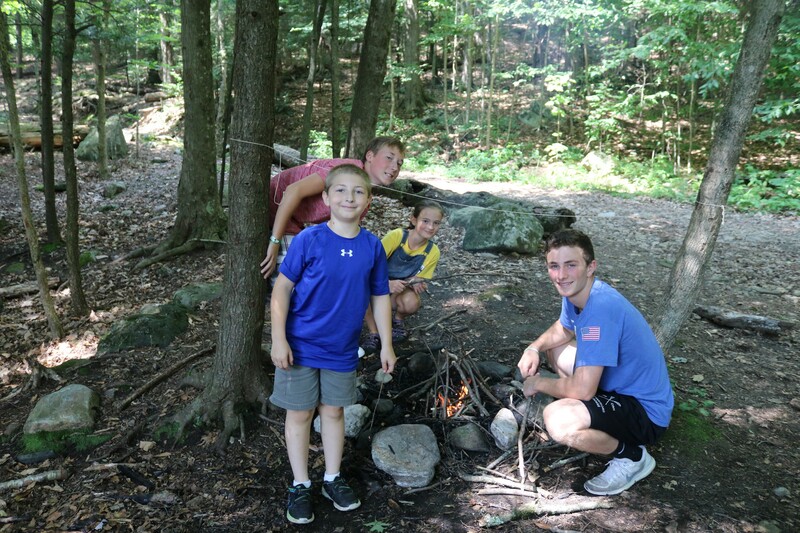 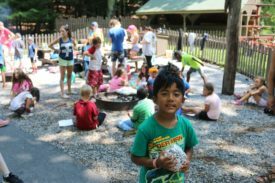 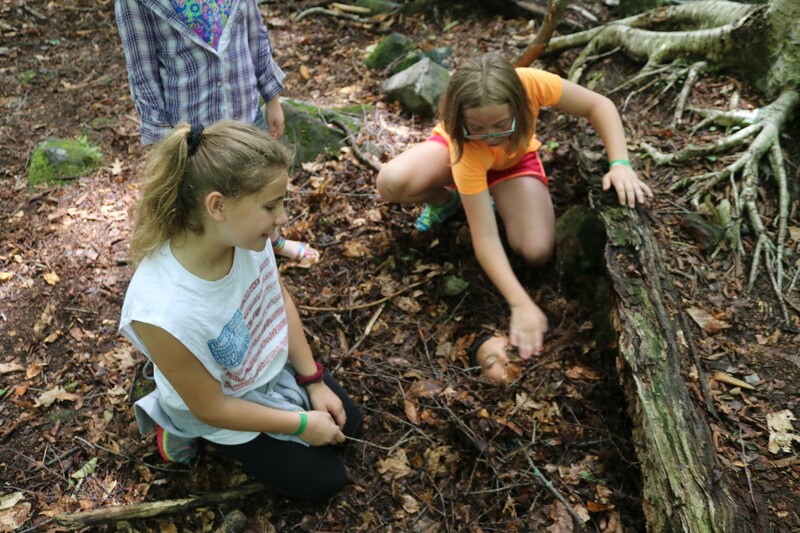 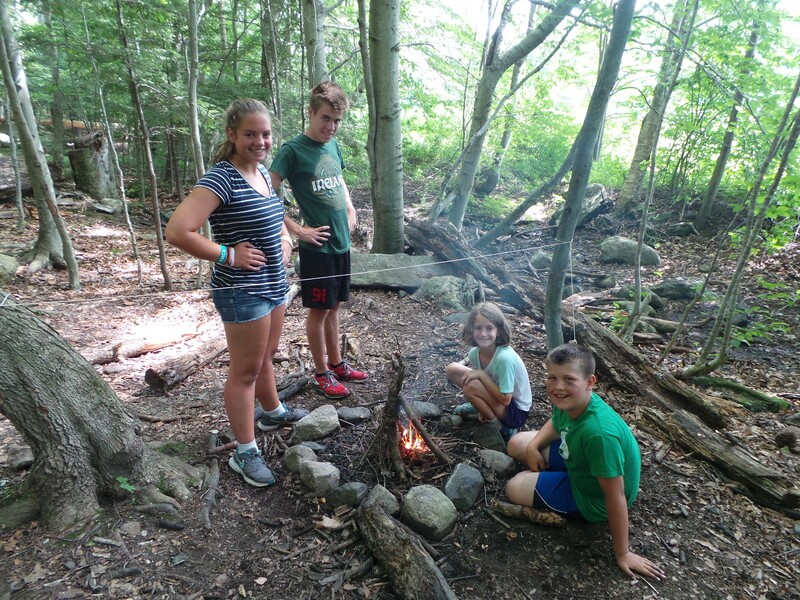 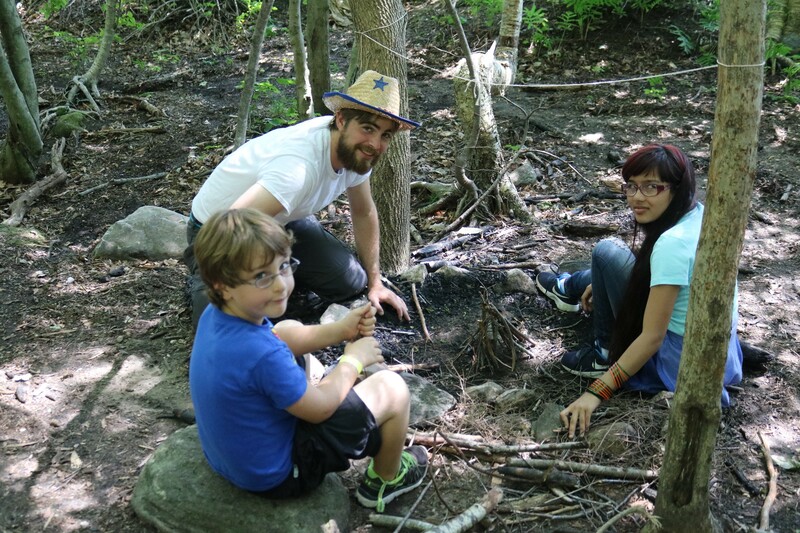 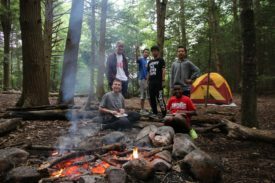 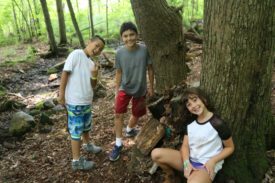 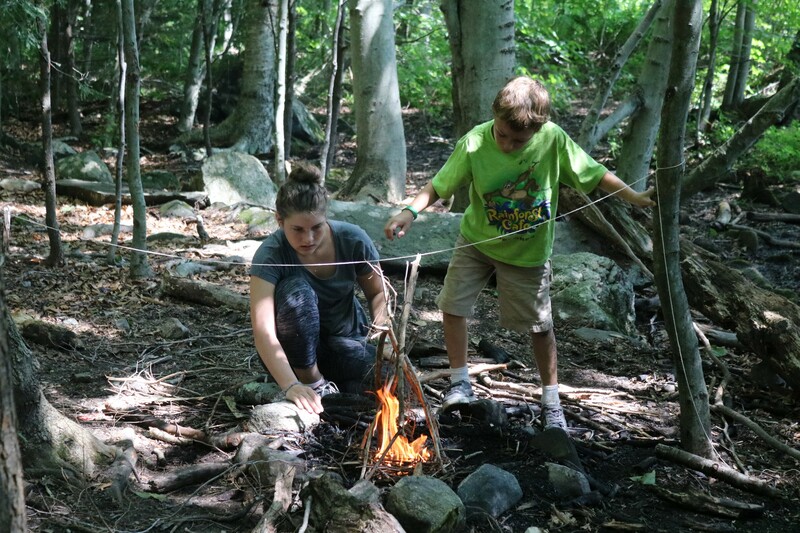 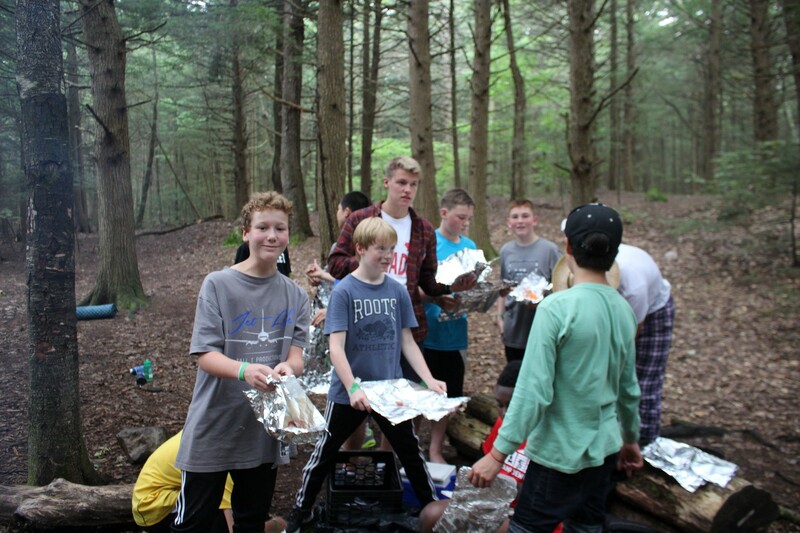 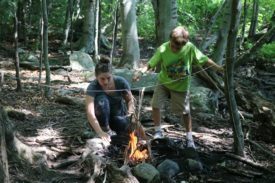 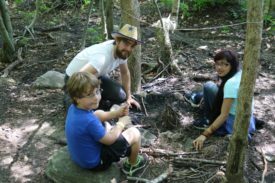 A fun time is guaranteed learning more about the world around us as well as doing traditional camp activities like shelter building, camouflage, and fire building! 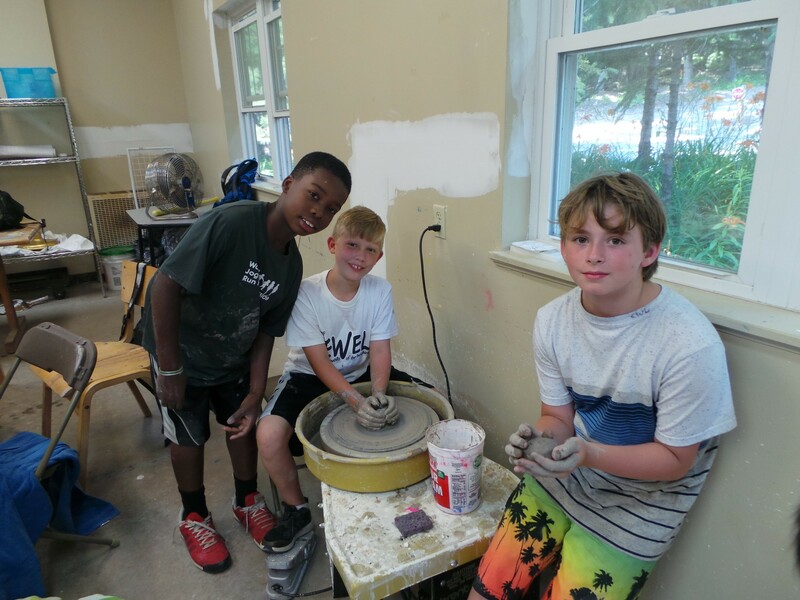 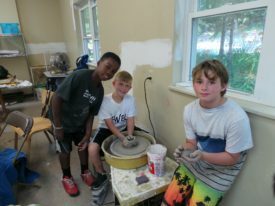 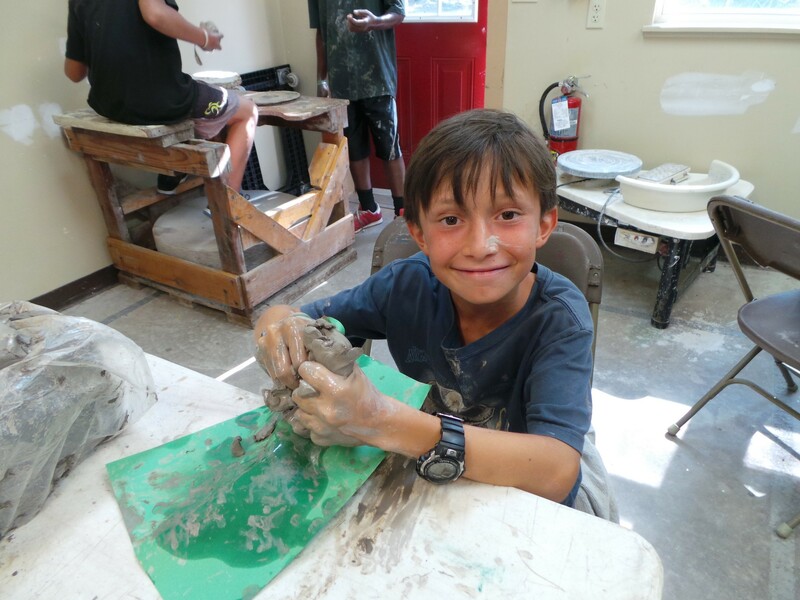 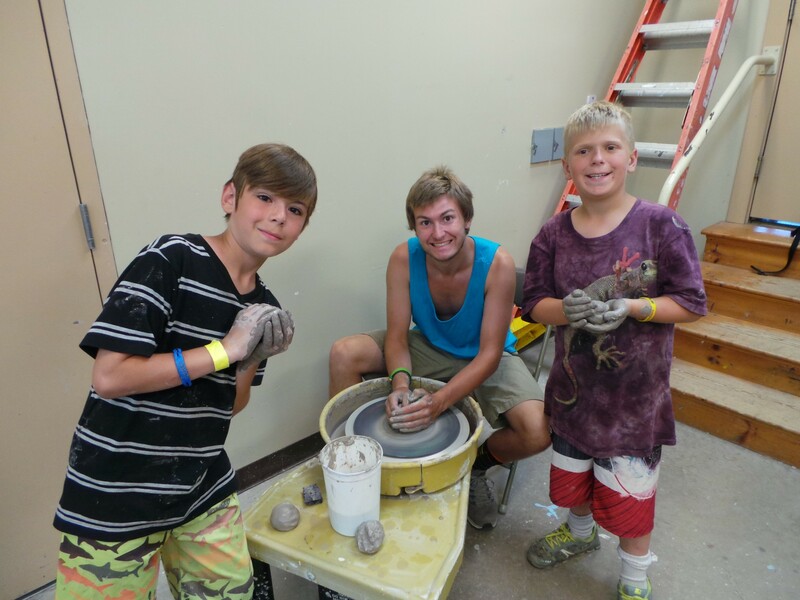 There’s nothing like bringing home something from camp to remind you of the friendships made- our pottery clinic is a great way of doing that! 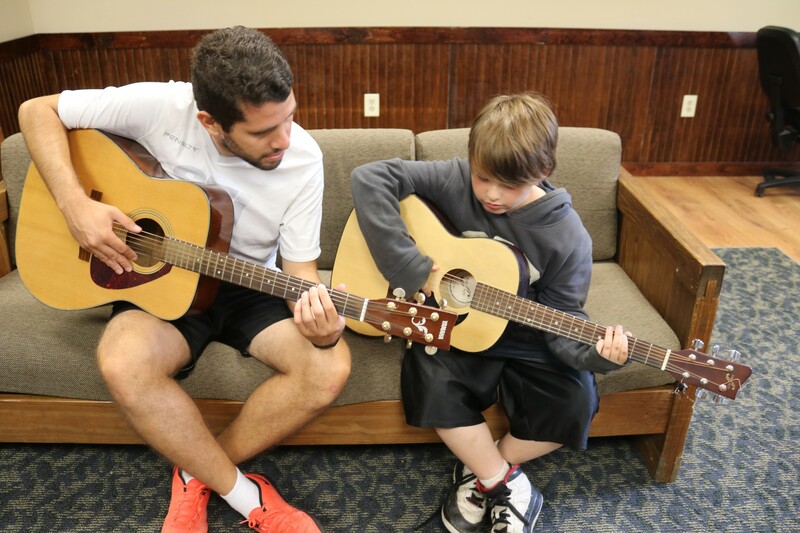 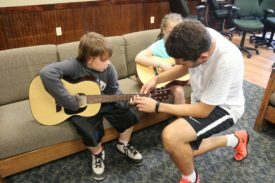 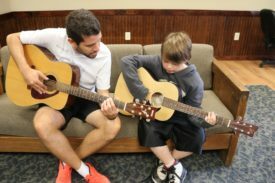 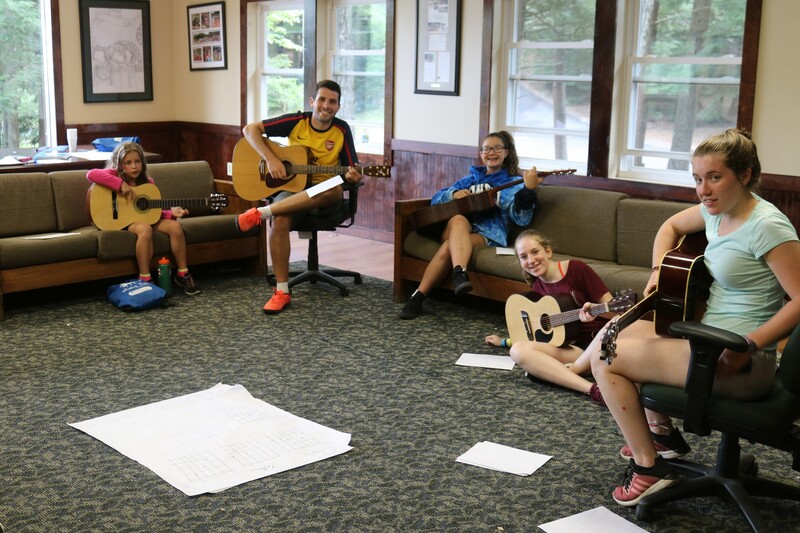 A perennial favorite at Camp Jewell, our guitar clinic gets to present a show at the end of each session! 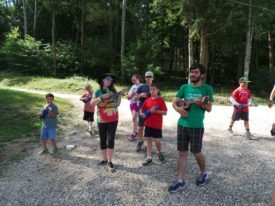 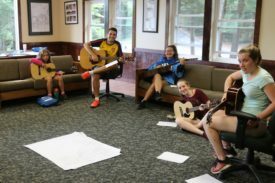 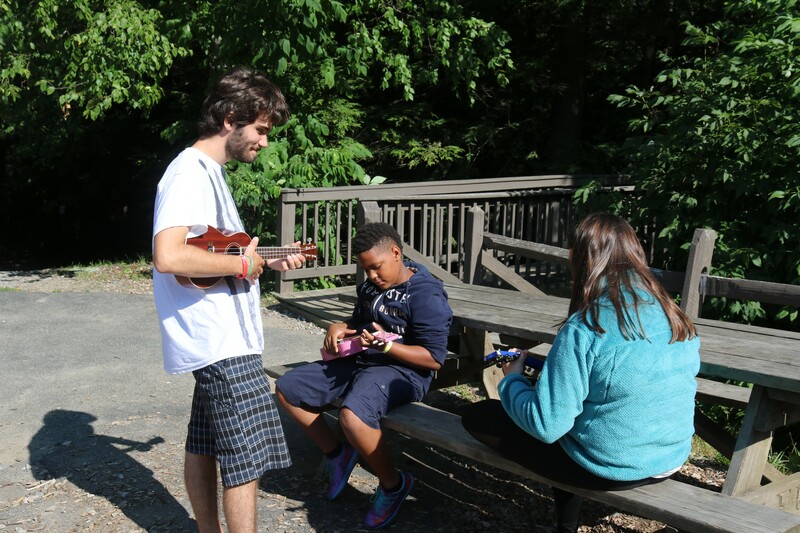 Often found wandering around camp playing songs to entertain staff and campers, our ukulele clinic performs at each closing campfire! With so many choices the question is where to begin! 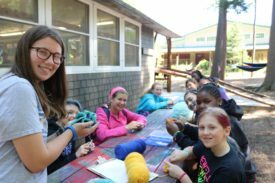 We have an arts and crafts sampler clinic that provides a taste of the different activities you can choose from. In addition we have panting, drawing, basket weaving, and so much more! 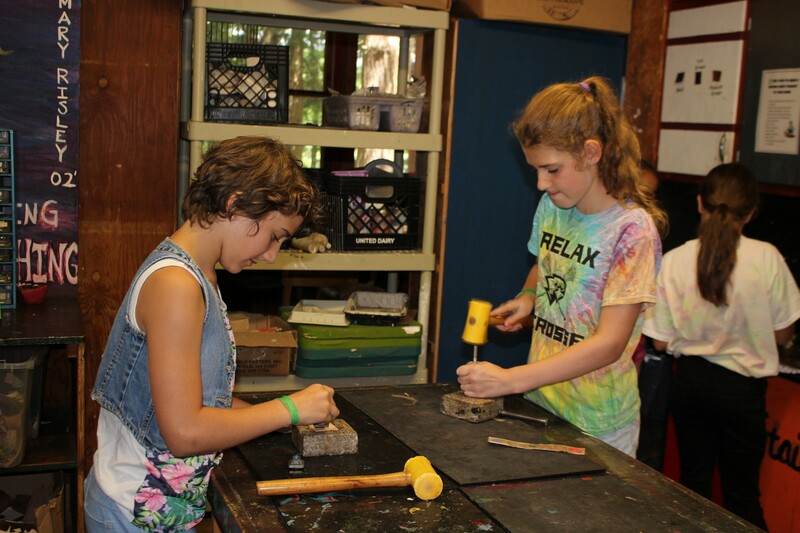 One of our most popular arts and crafts year round is leather making. 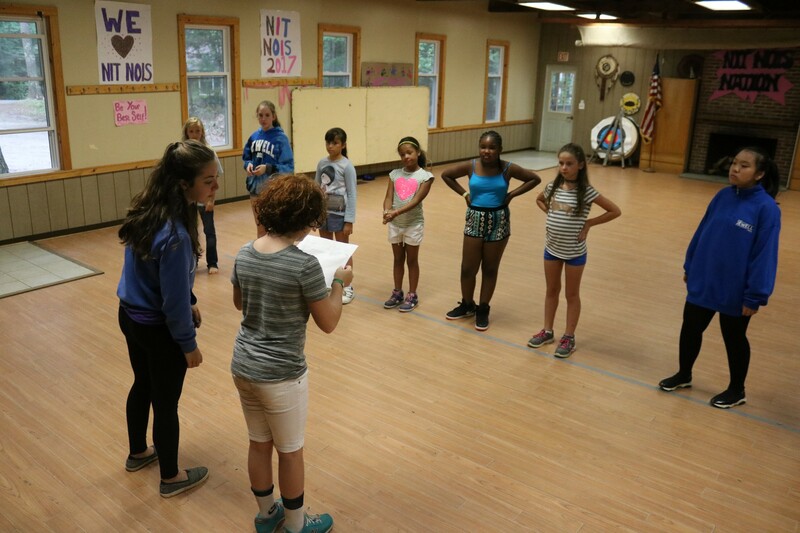 The bright lights of Broadway seem just around the corner at camp! 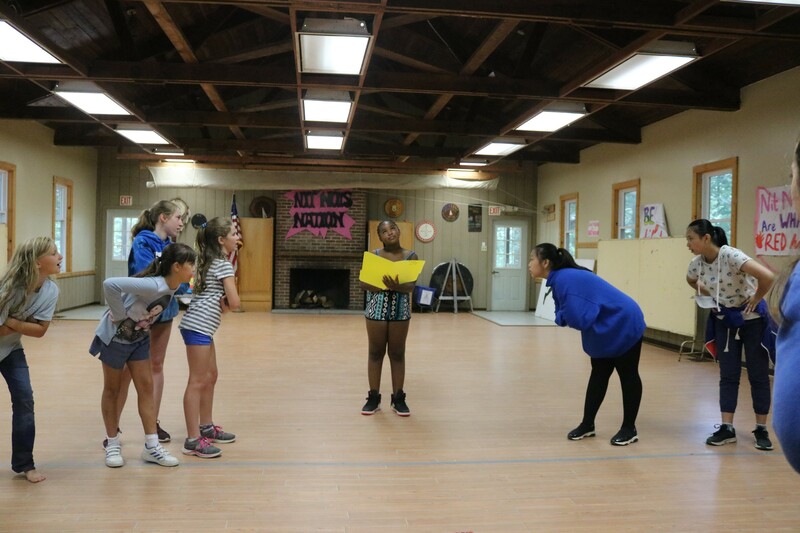 Our drama clinic puts on a show at the end of each session! 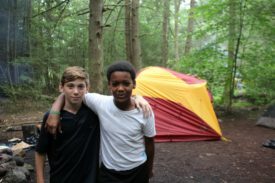 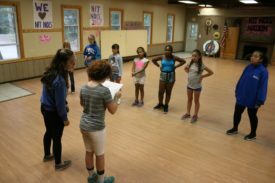 A day in the life of camp! 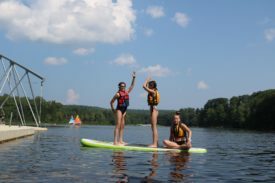 *Additional fee of $150 for 5 1hr lessons- limited availability.